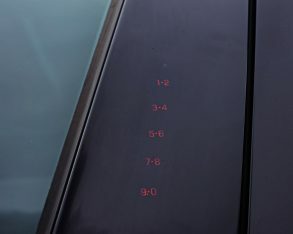 its retrospectively futuristic stylings seemingly perfect for this über-kool art noir modern-day classic. 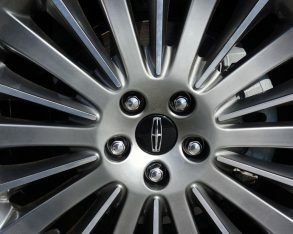 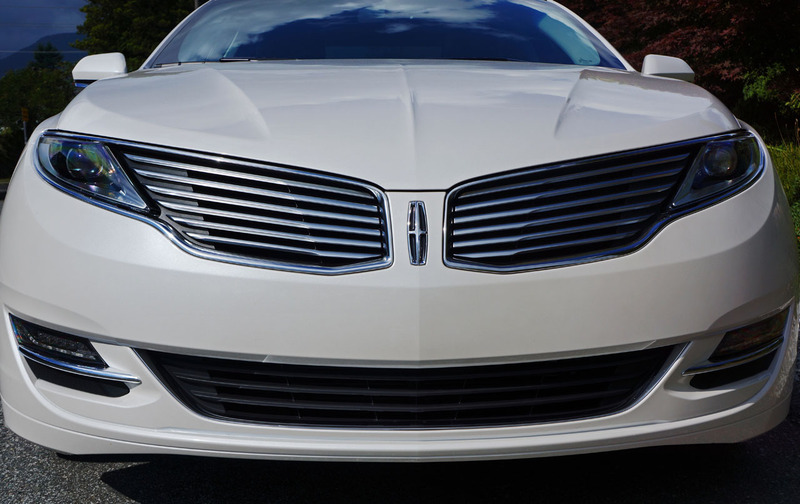 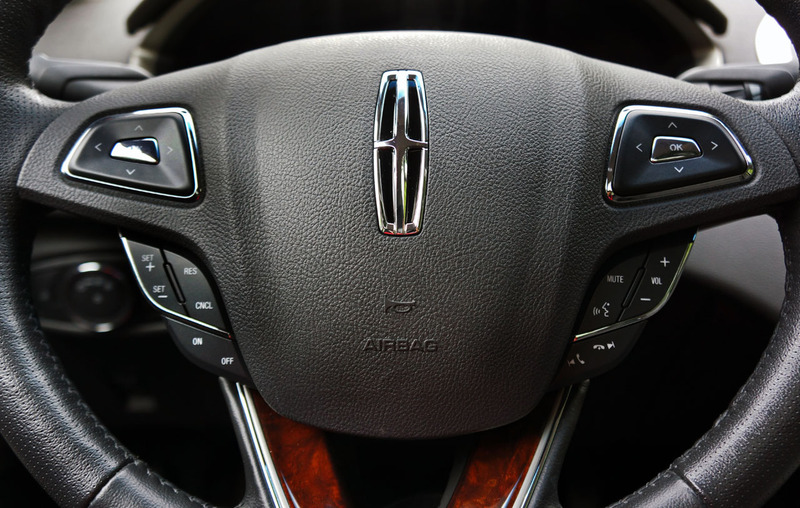 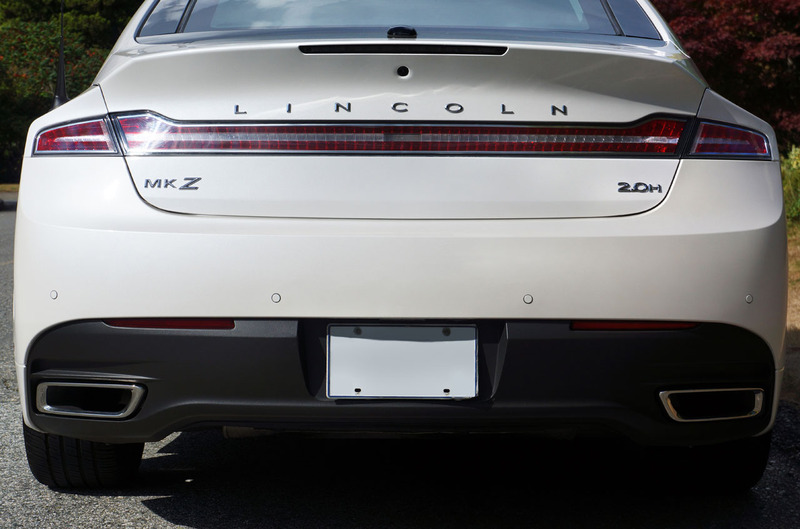 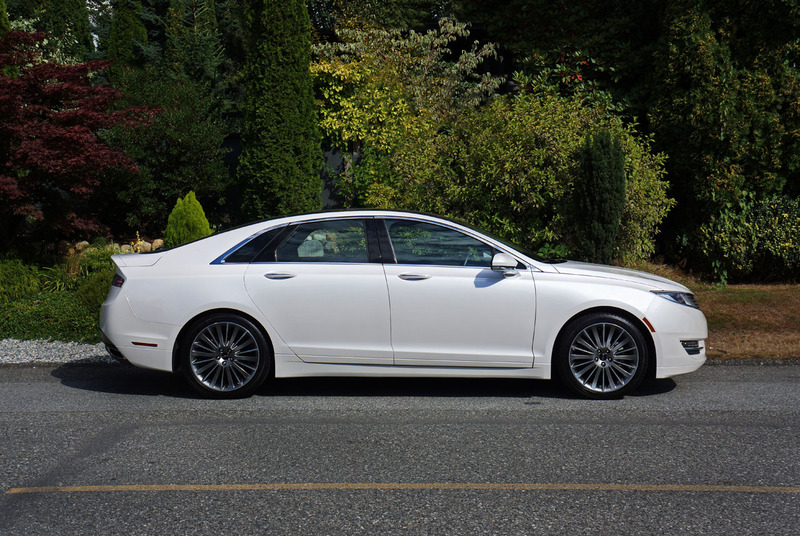 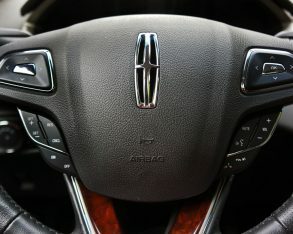 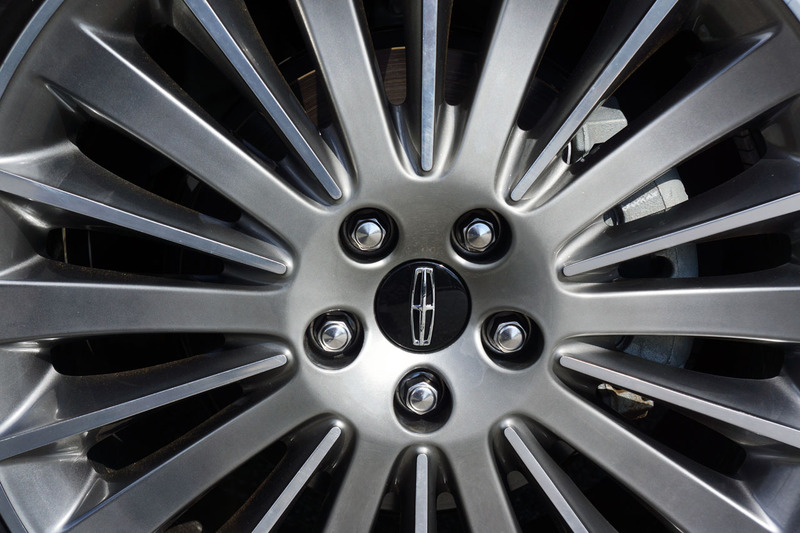 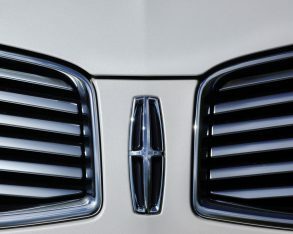 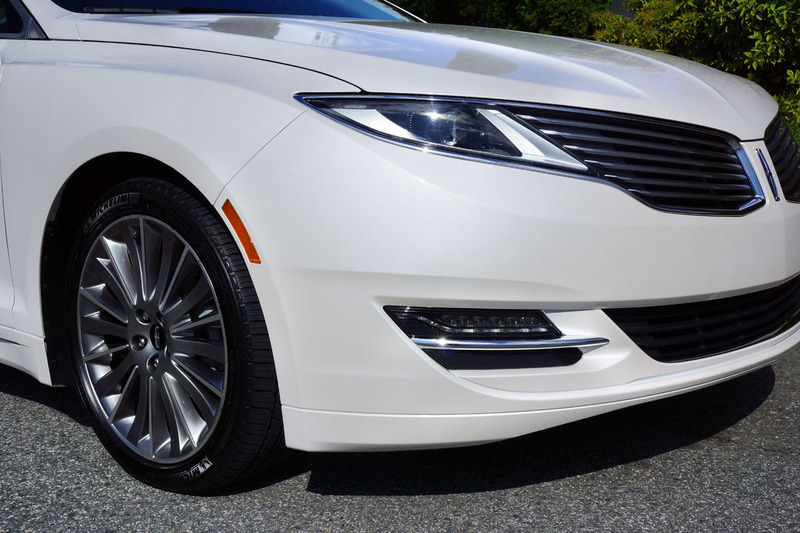 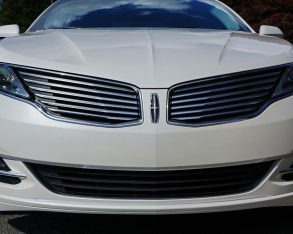 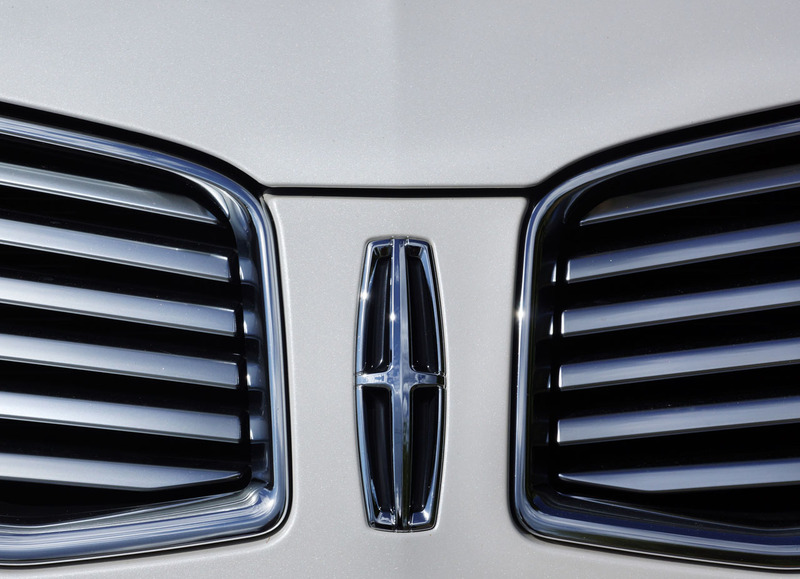 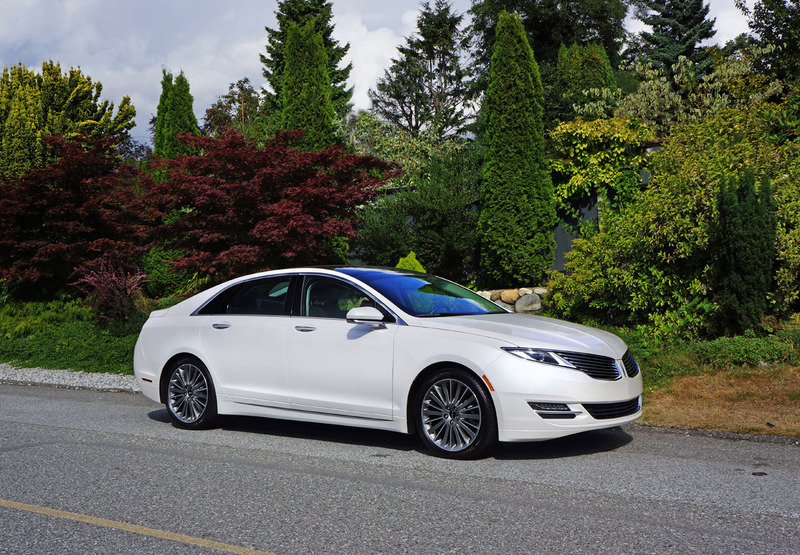 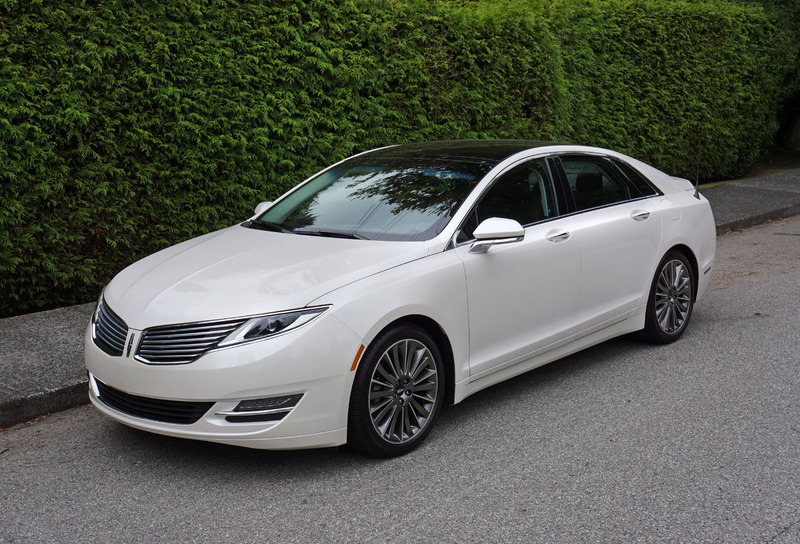 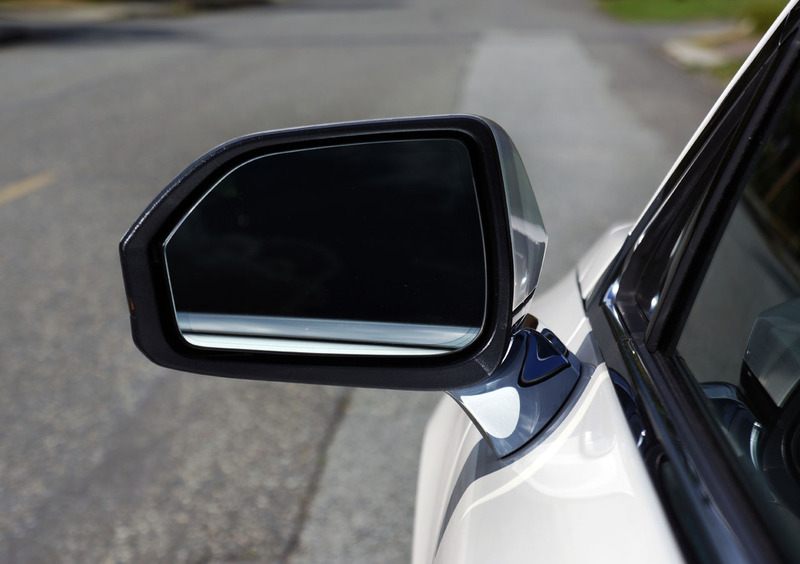 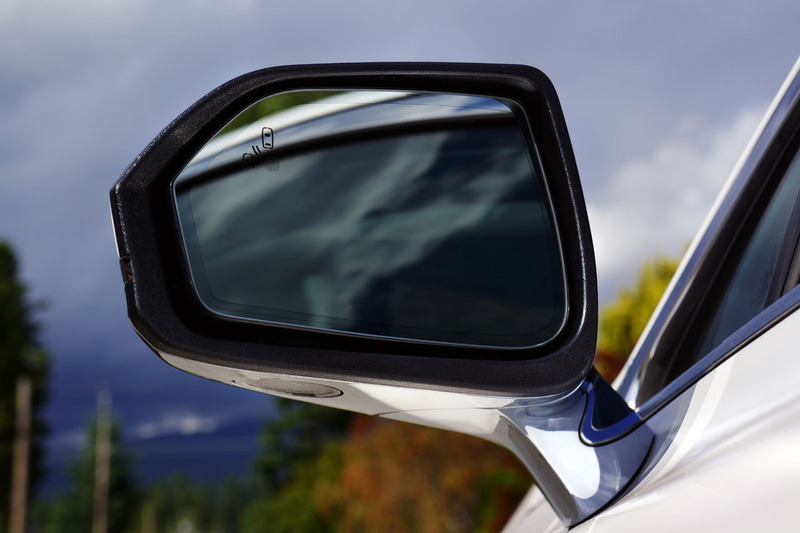 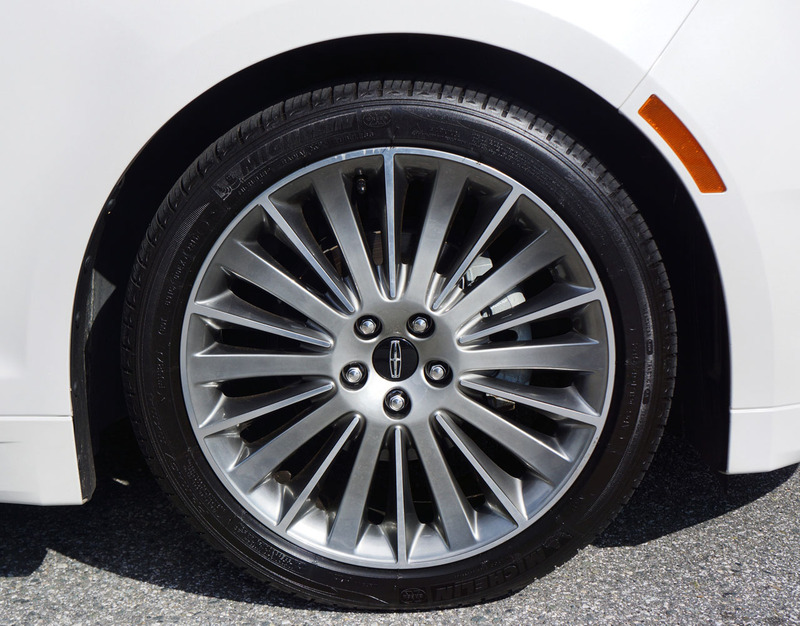 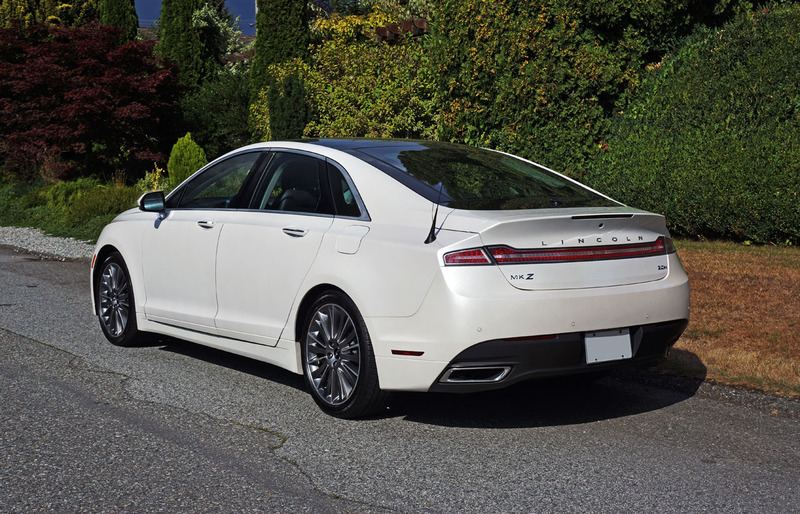 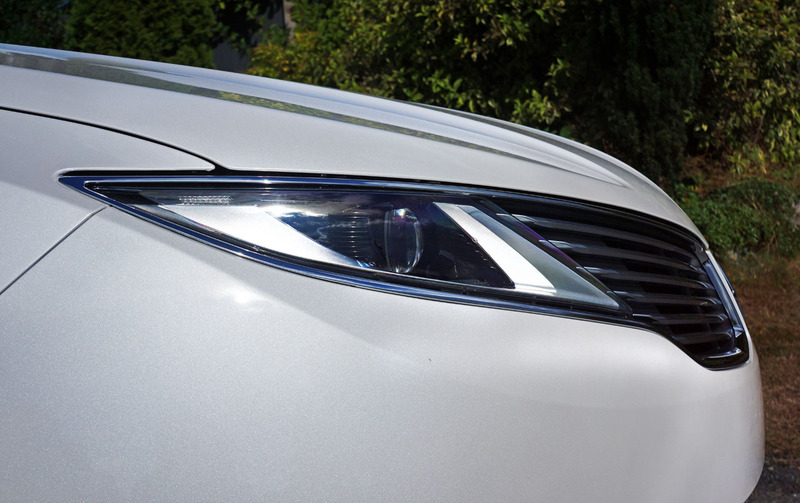 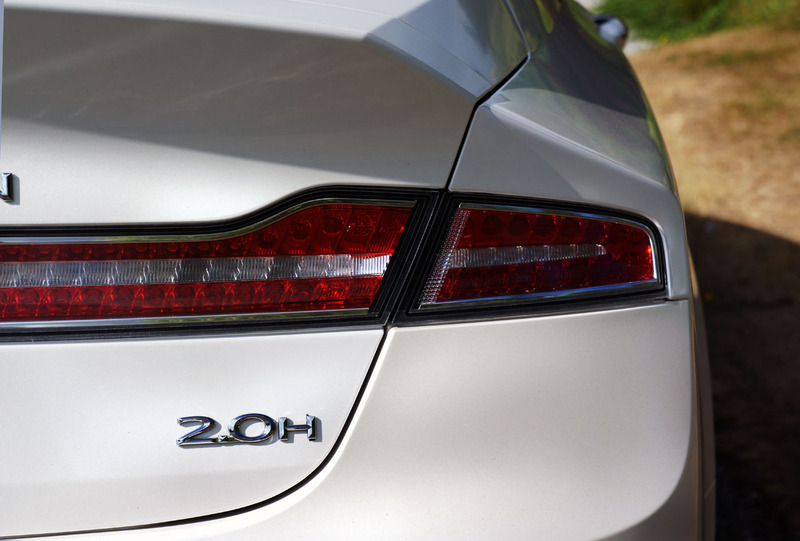 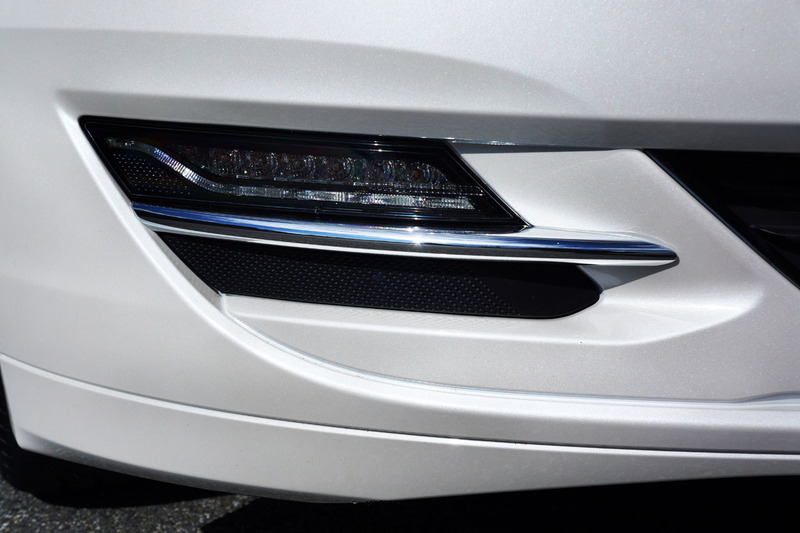 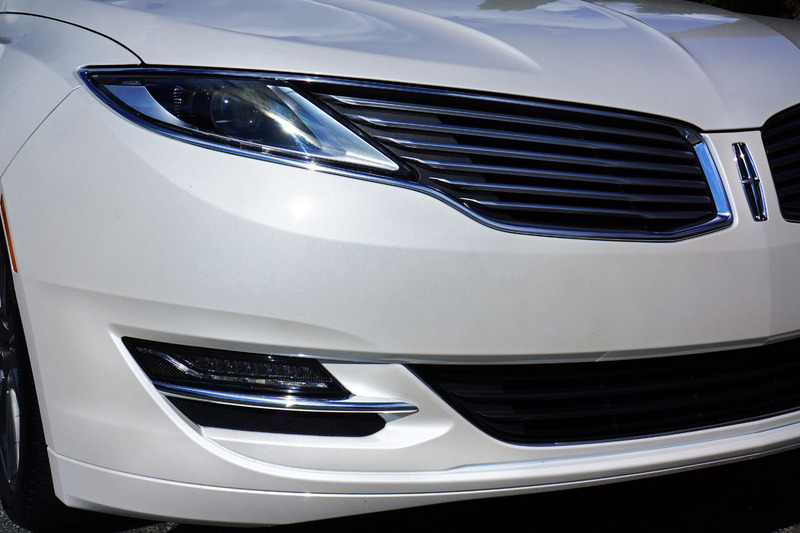 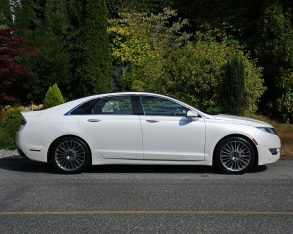 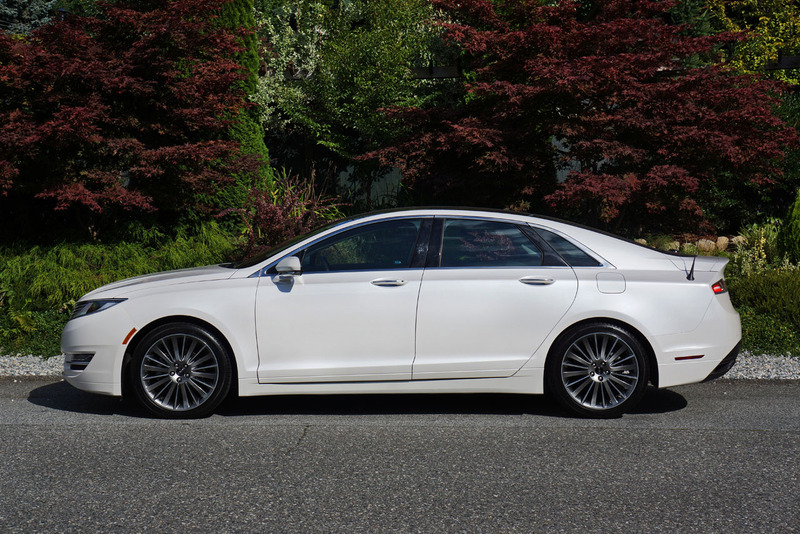 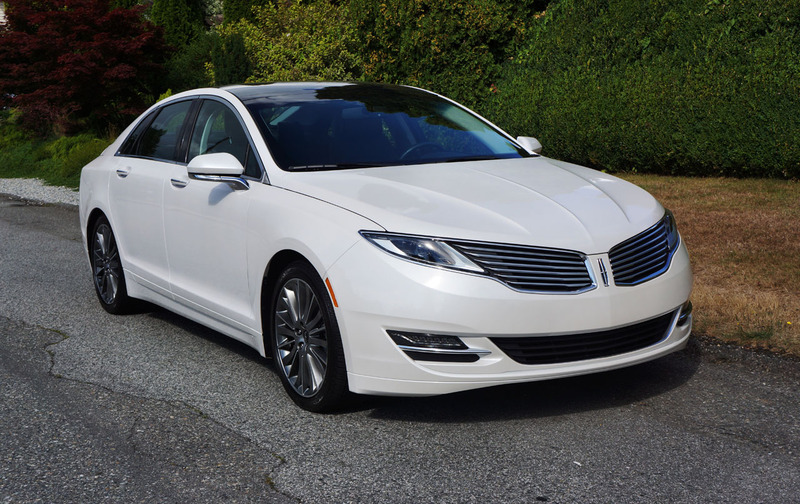 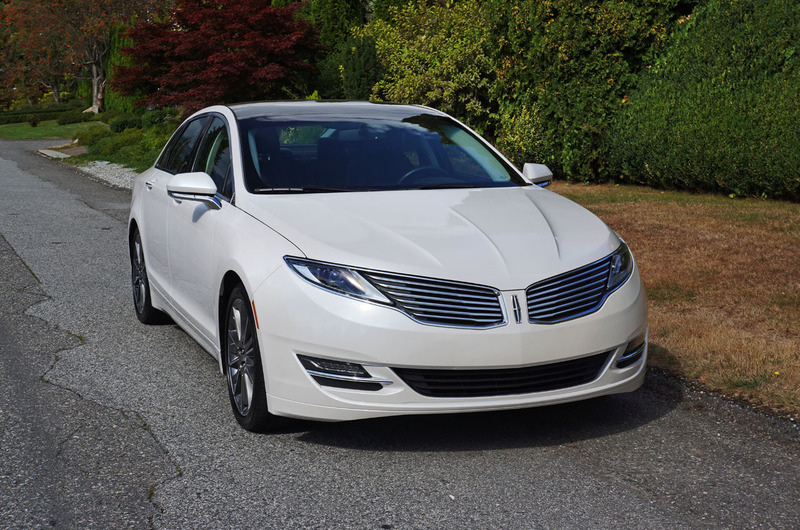 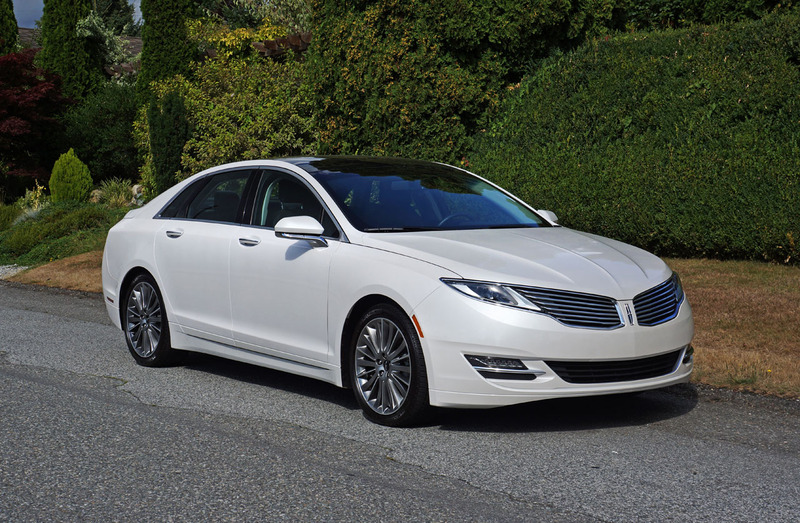 Do you think the new Lincoln MKZ Hybrid is a modern-day classic? 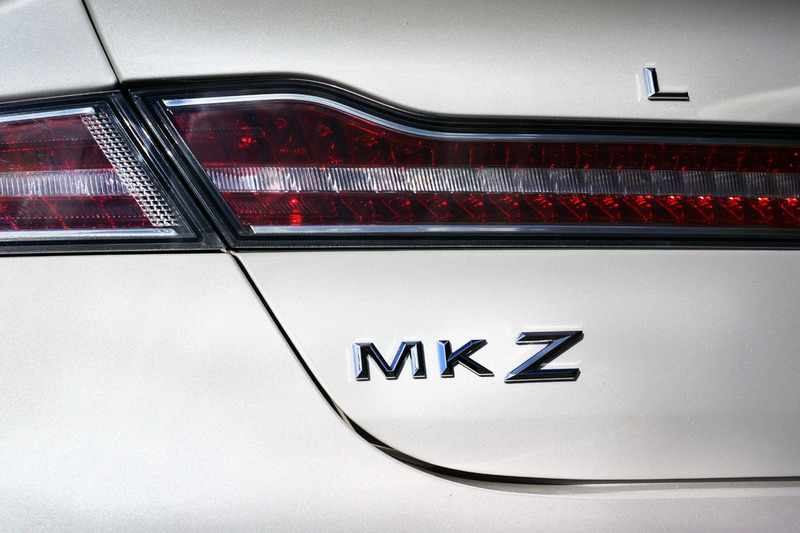 Is it a car we’ll aspire to own 45 years from now, like the ’69 Mk III? 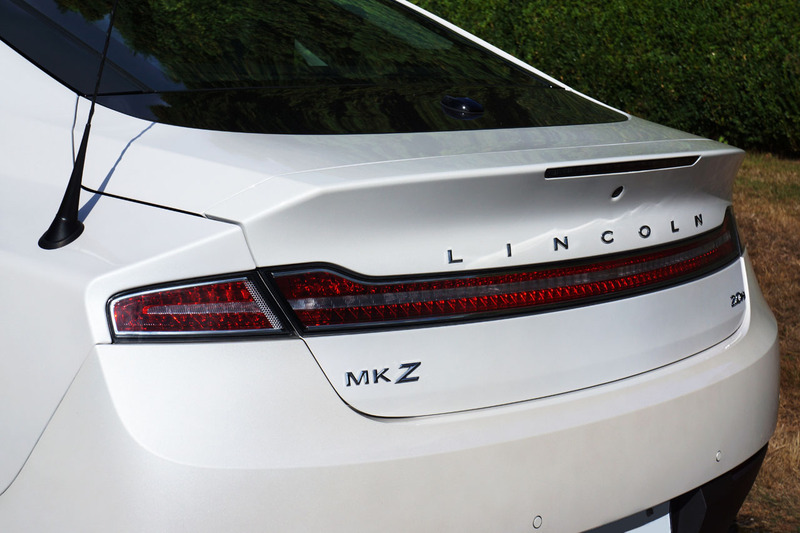 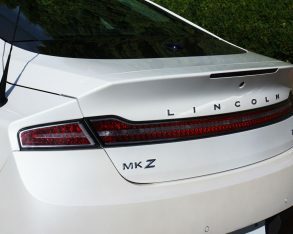 I adore the Mk III and really like the new Lincoln MKZ, particularly from its rear quarter view, but I’m not one to prognosticate about future collectables. 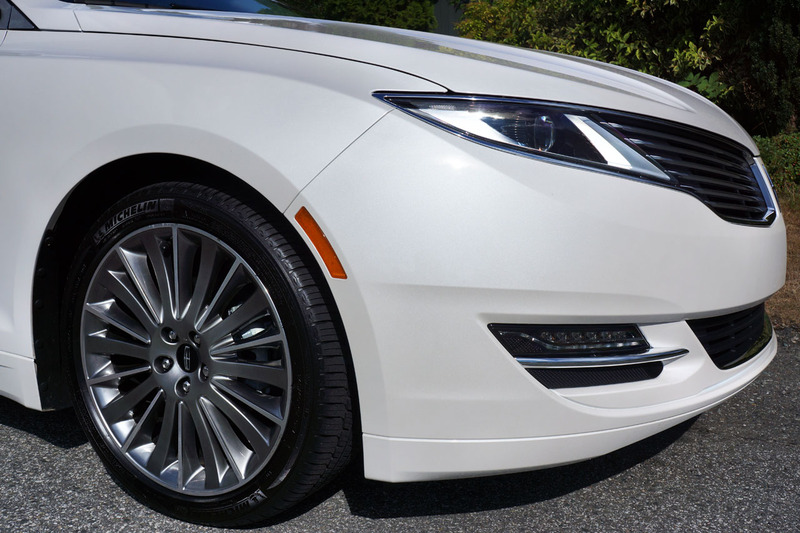 Tuxedo Black my tester wore White Platinum paint, a $600 option that’s well worth the money as it makes this Lincoln look positively radiant. 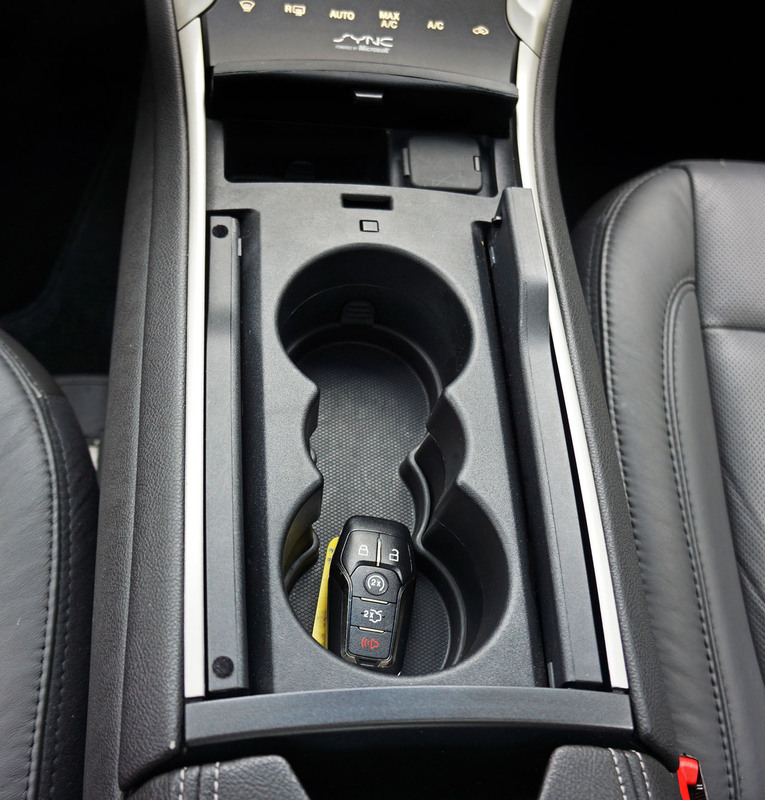 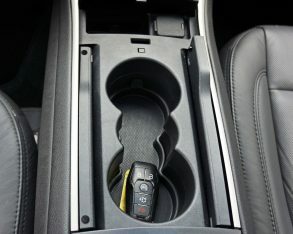 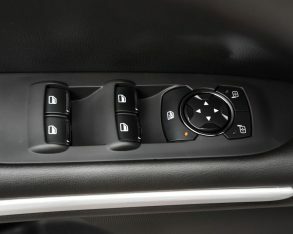 control through the corners, or at least allow short shifting to save on fuel. 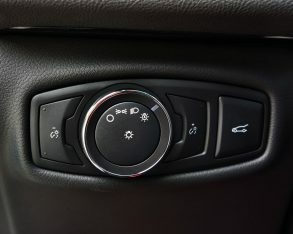 I’m guessing they know their clientele, not to mention are wise enough to realize that any money used for prodding a continuously variable transmission through a set of mock gears could be better spent elsewhere. 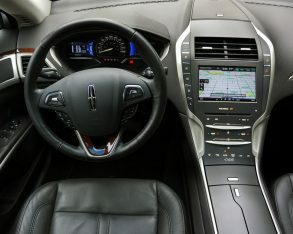 as are the dash and instrument panels, and both steering wheels as well. 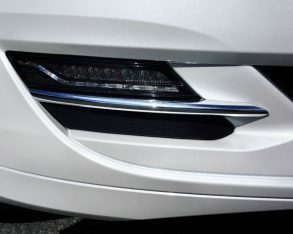 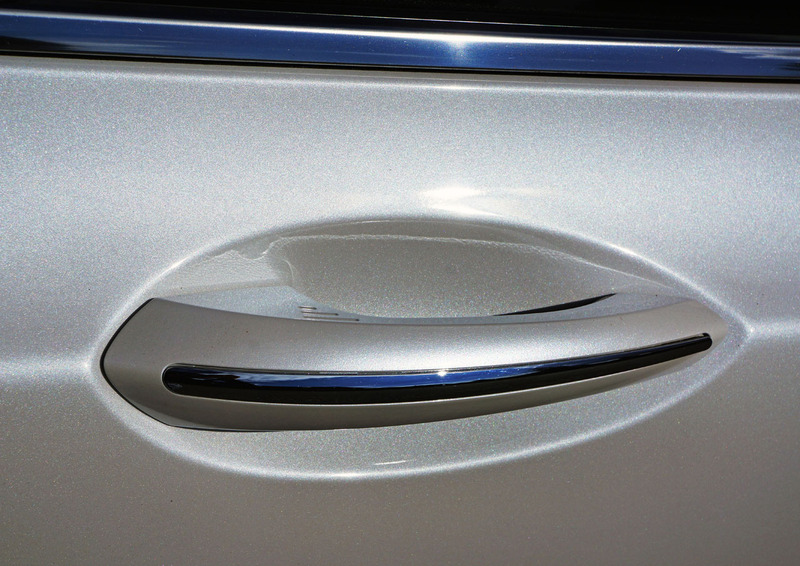 Fortunately for the premium-badged car, all the blue-oval-sourced components are very well executed. 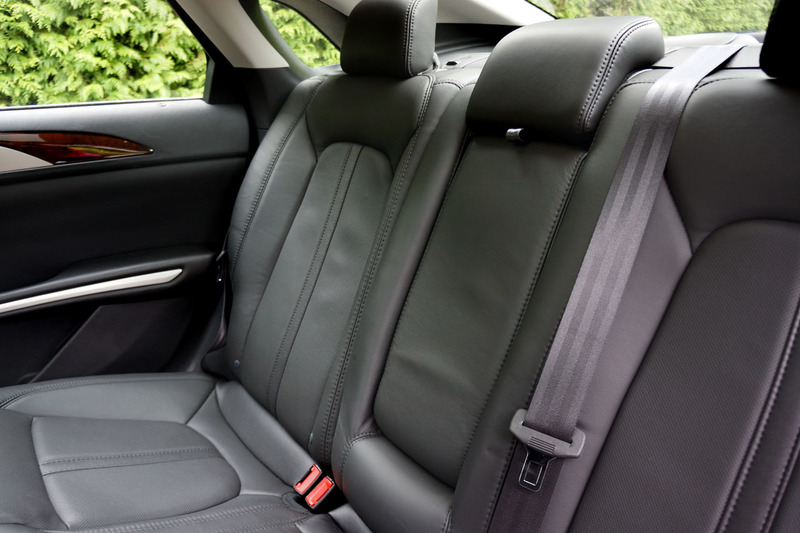 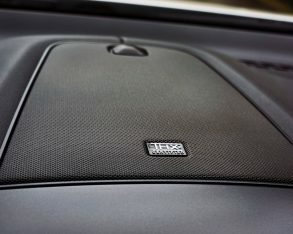 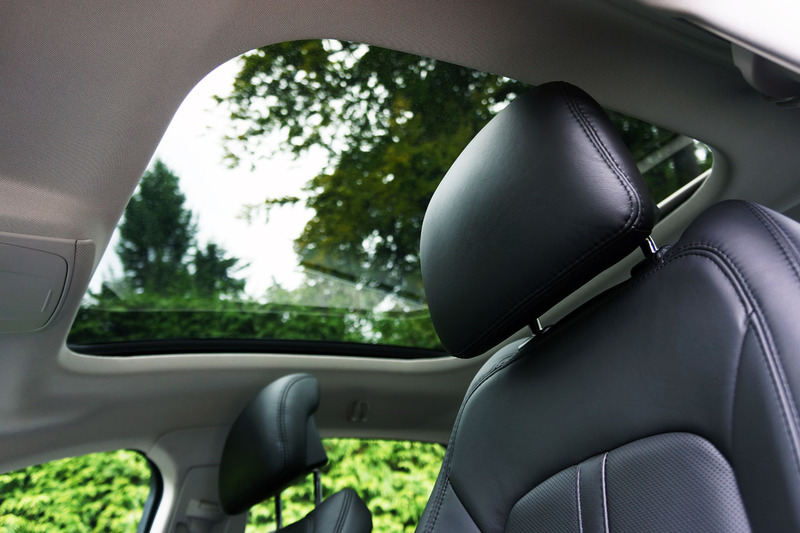 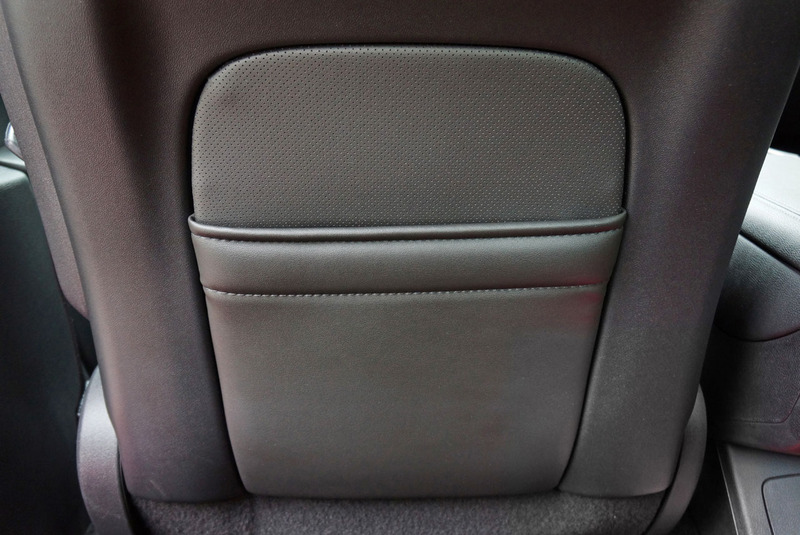 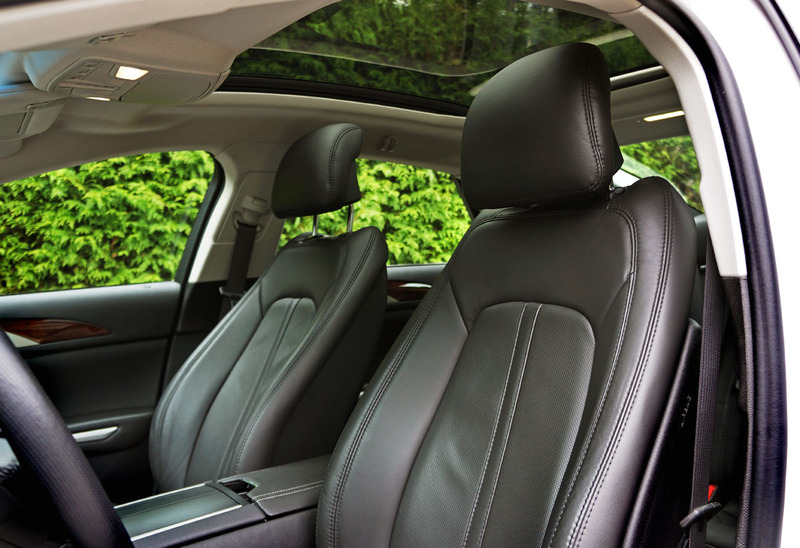 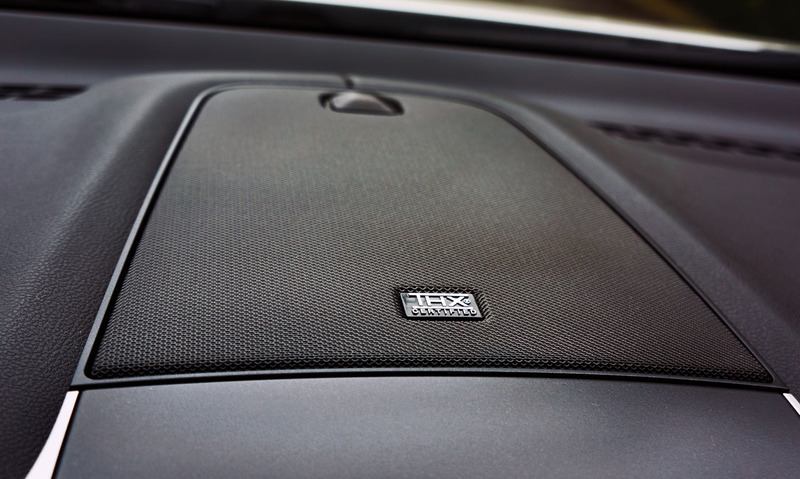 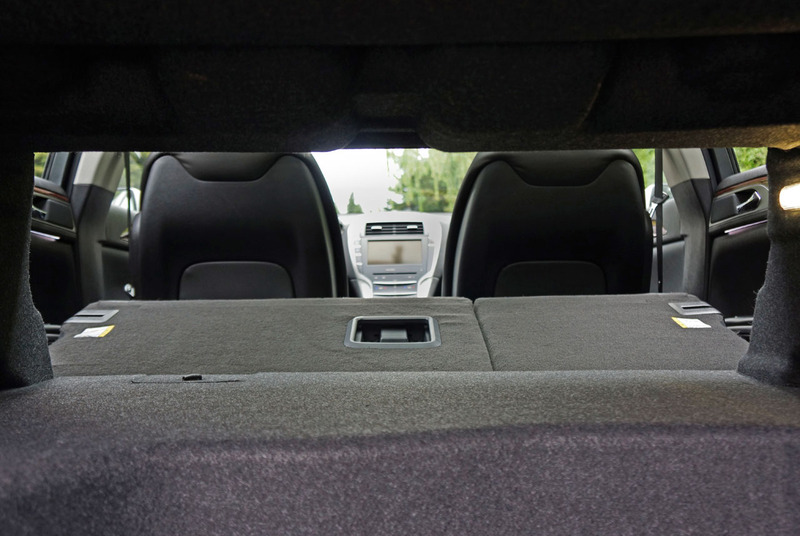 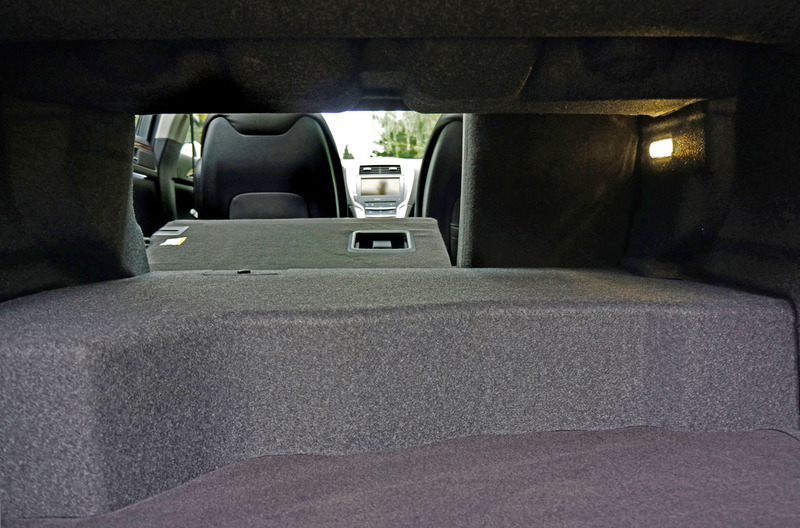 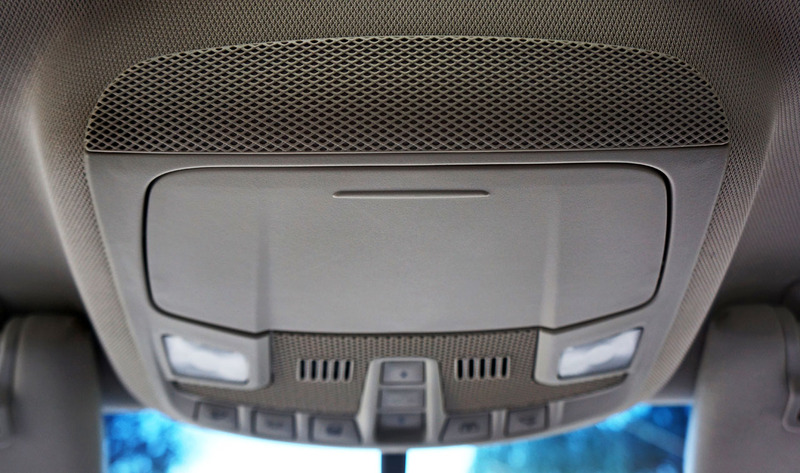 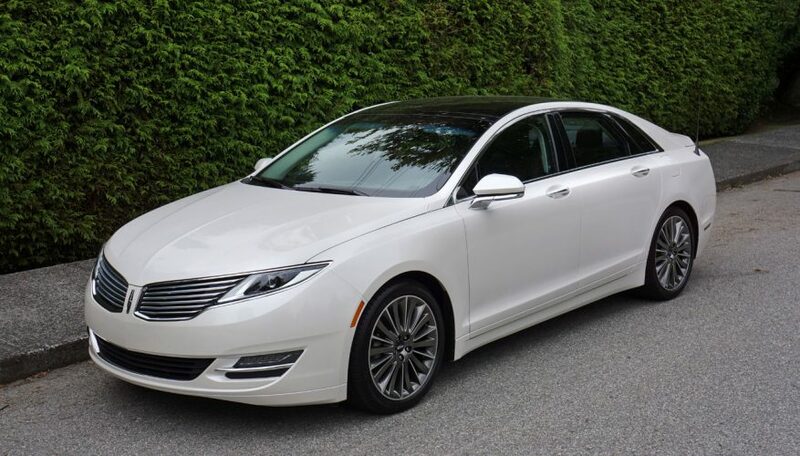 Helping to separate these two models, Lincoln has wrapped all the roof pillars in the same attractive woven cloth as the roofliner, while luxury-level soft-touch plastics cover just about every other surface that’s not finished in brushed metal or genuine wood. 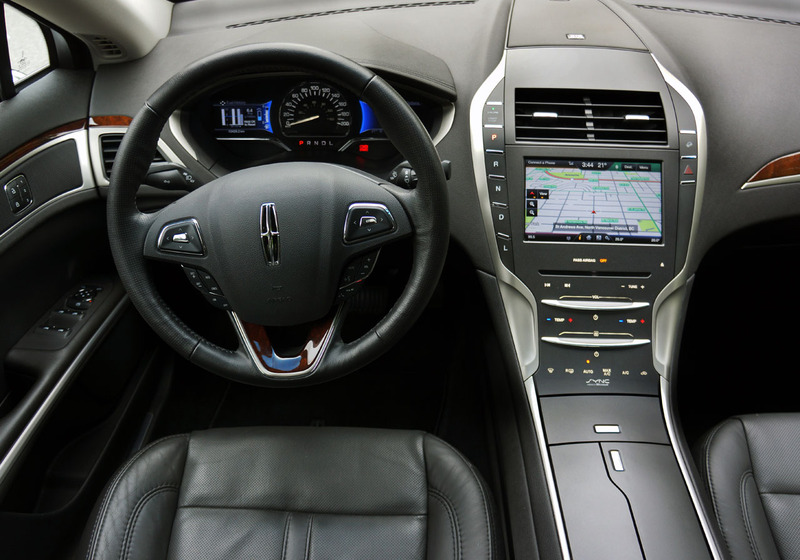 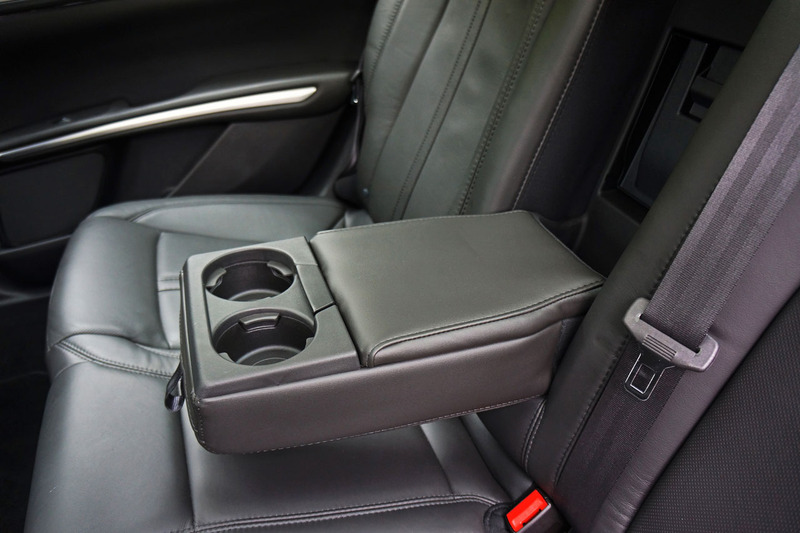 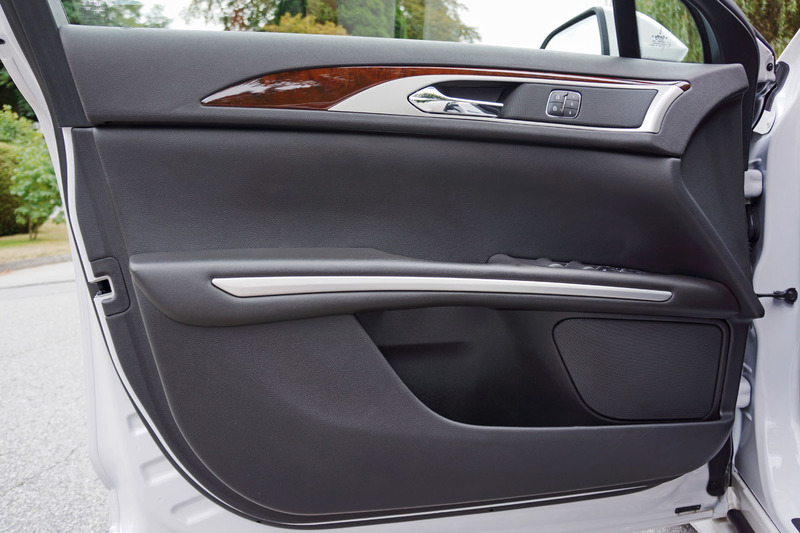 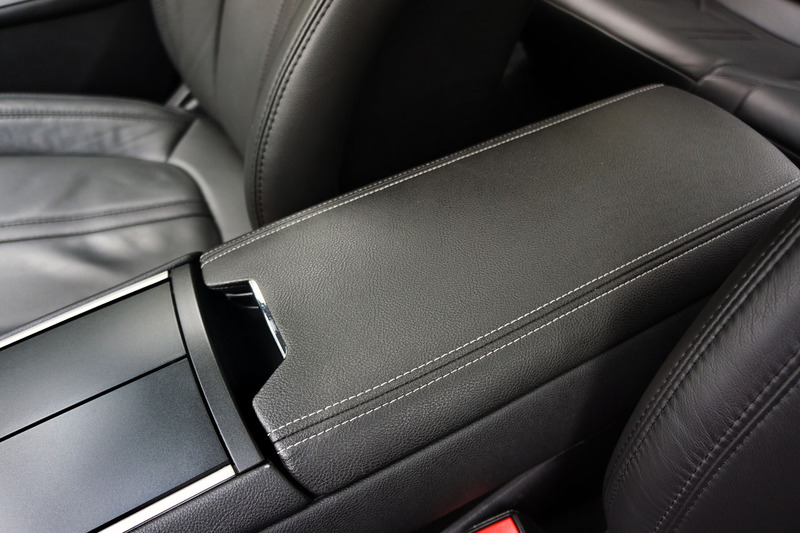 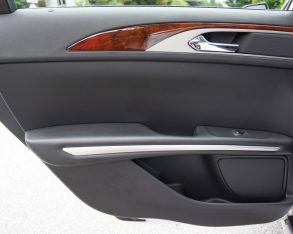 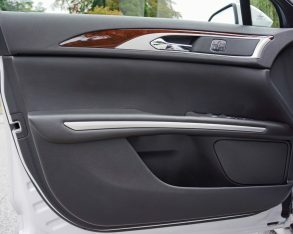 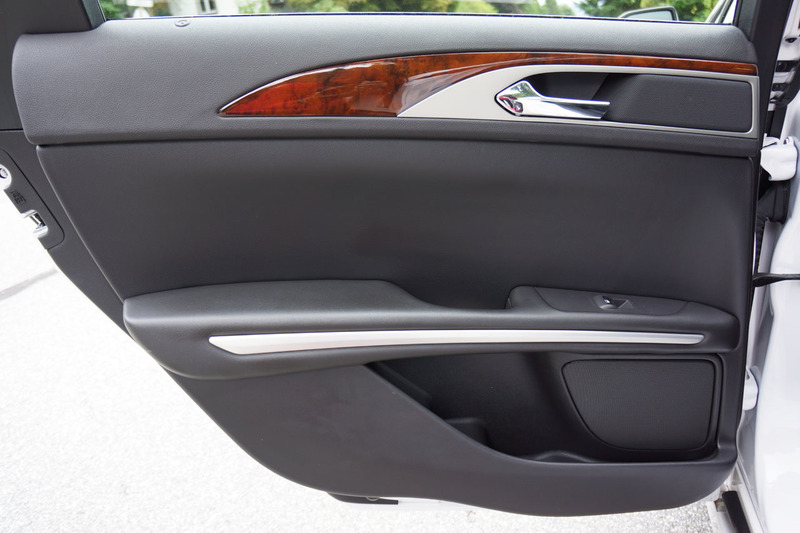 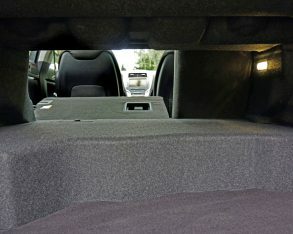 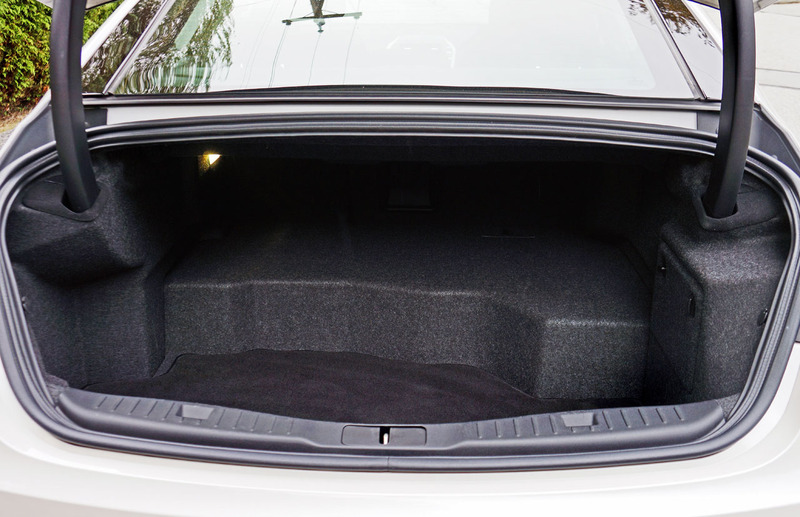 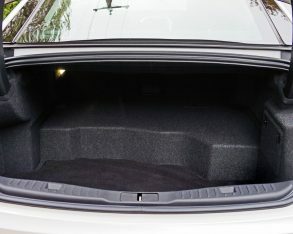 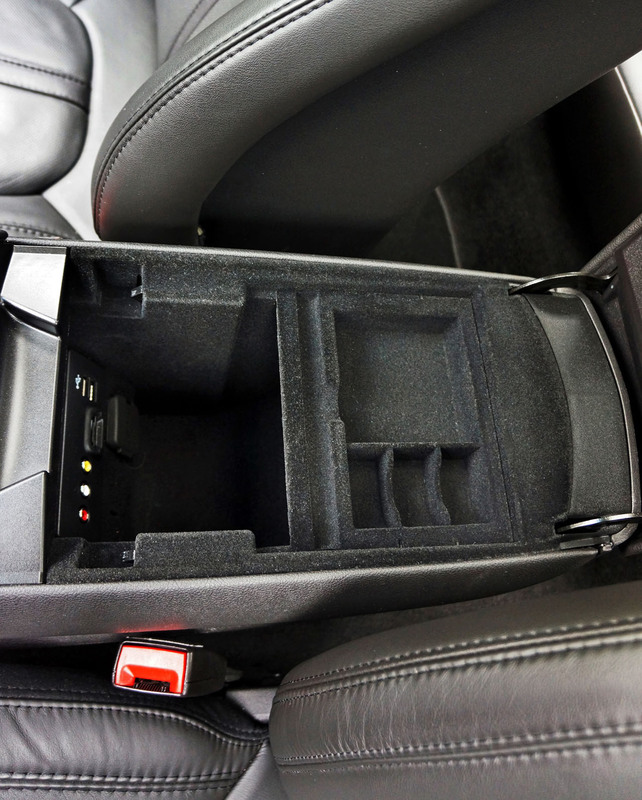 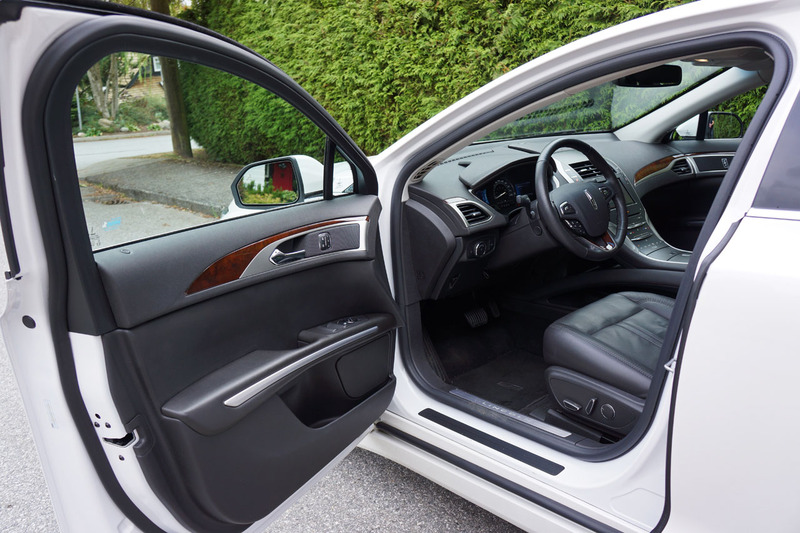 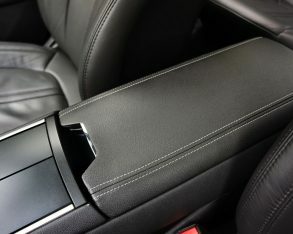 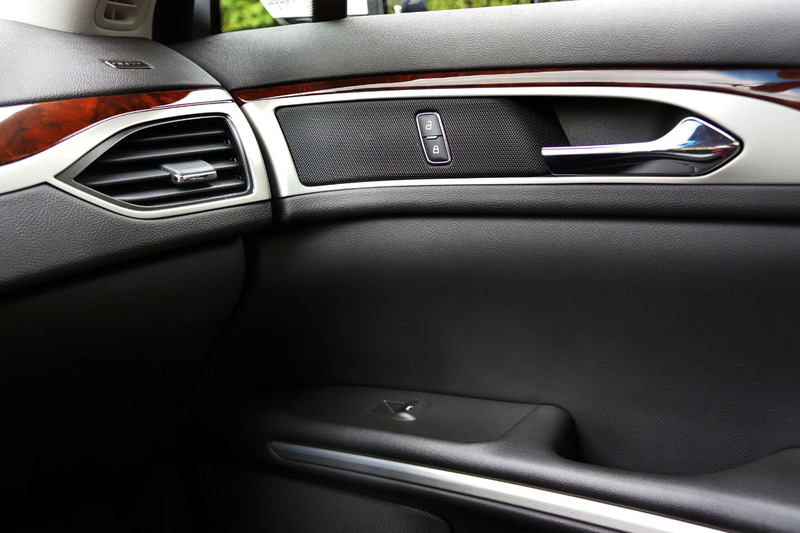 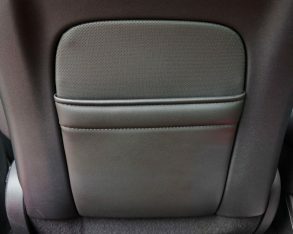 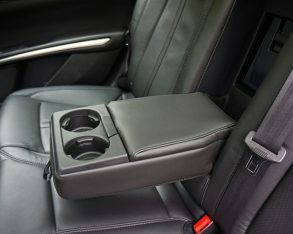 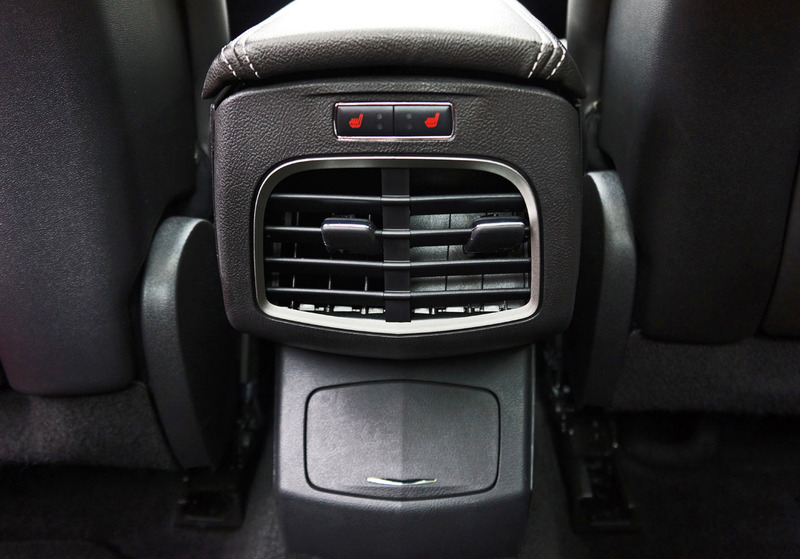 What’s more, Lincoln even went so far to apply the pliable plastic down to the lower dash and lower door panels, not to mention the glovebox lid. 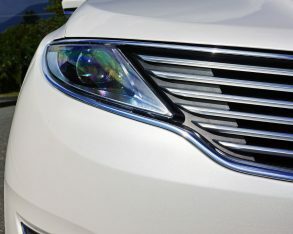 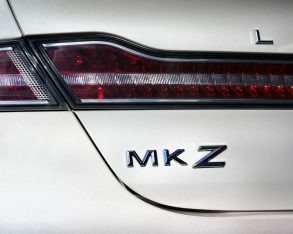 The MKZ Hybrid’s nearest rival, Lexus’ ES 300h doesn’t raise itself above its common Camry character quite as well. 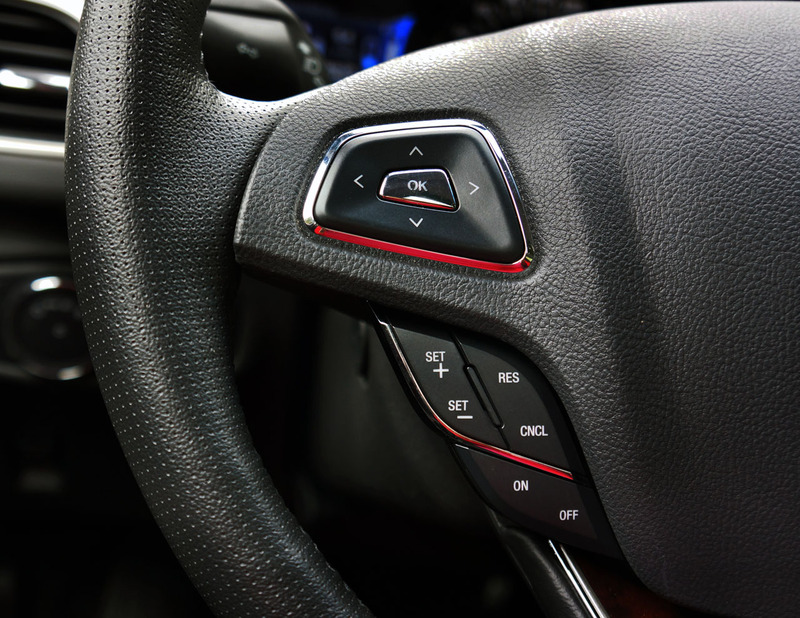 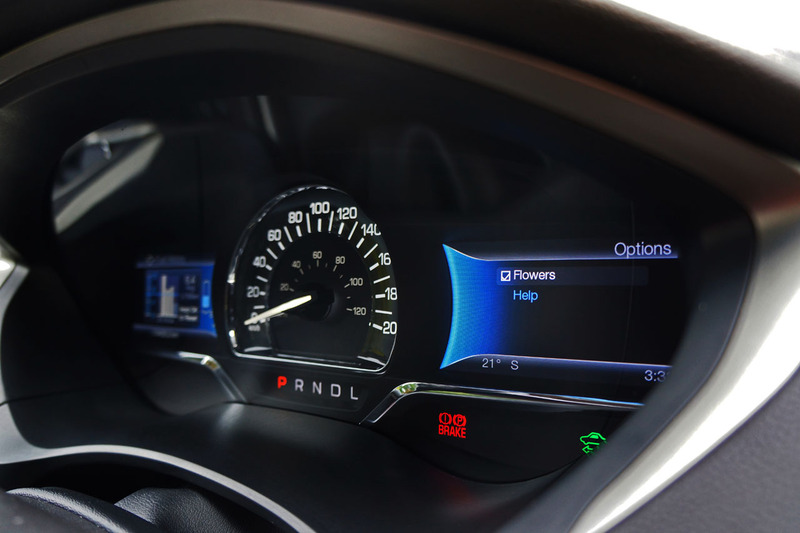 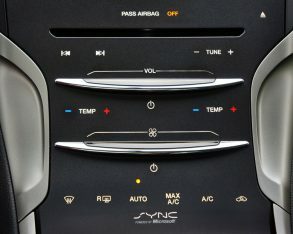 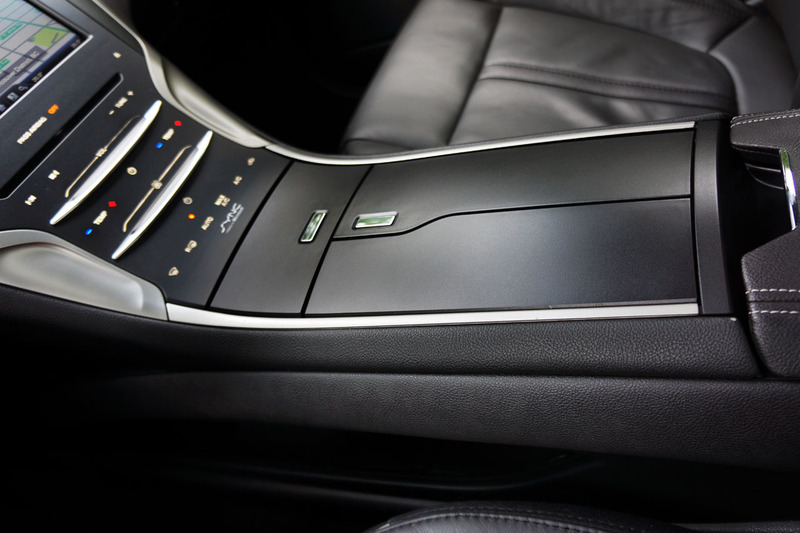 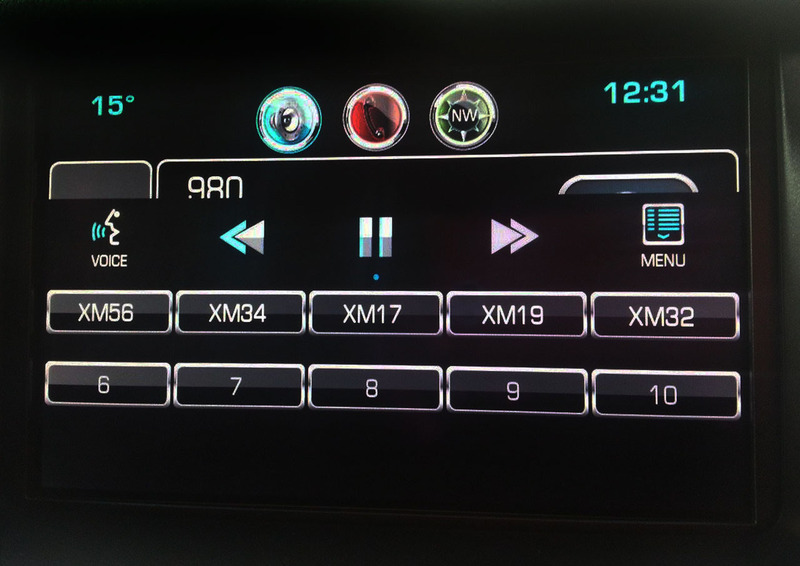 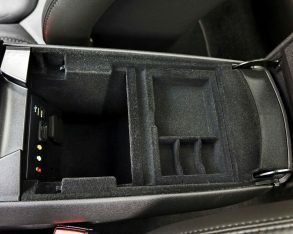 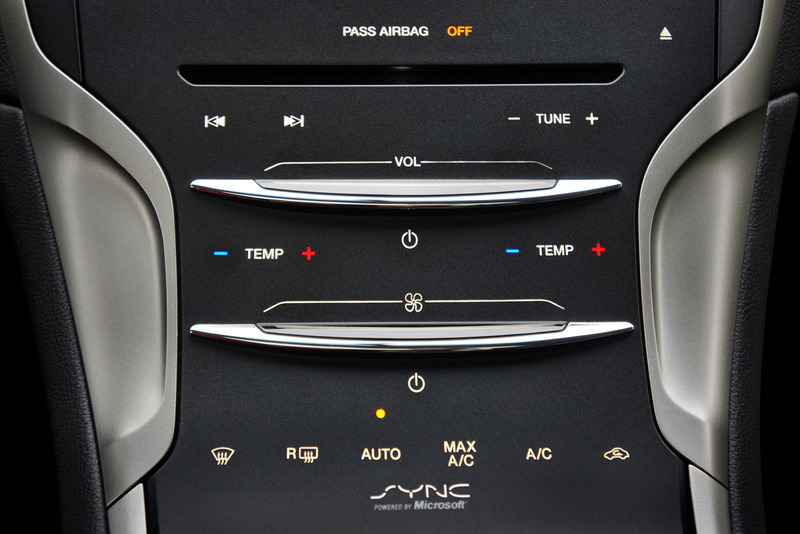 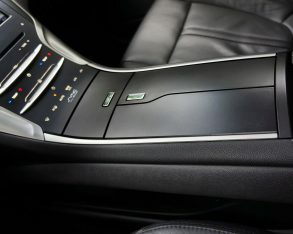 much the same way, the MyLincoln Touch infotainment system takes the best of what’s in the MyFord Touch system and makes it better, thanks to the touch-sensitive switchgear I mentioned earlier. 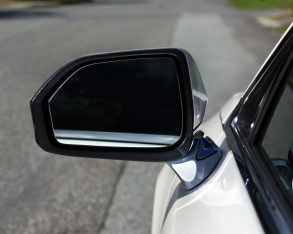 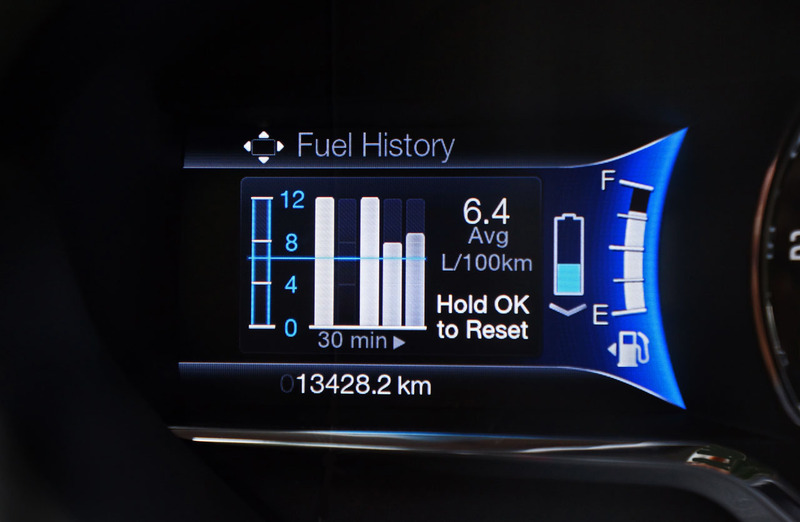 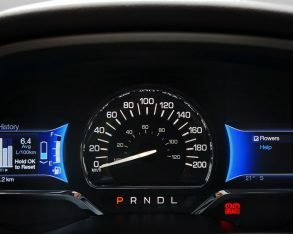 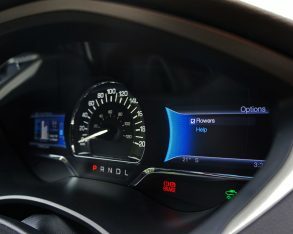 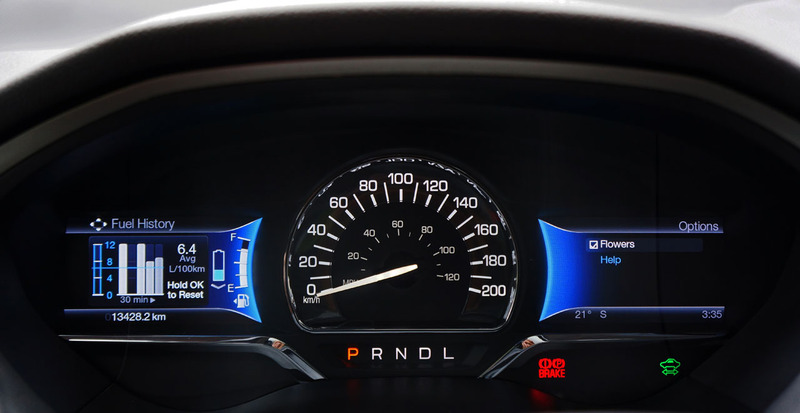 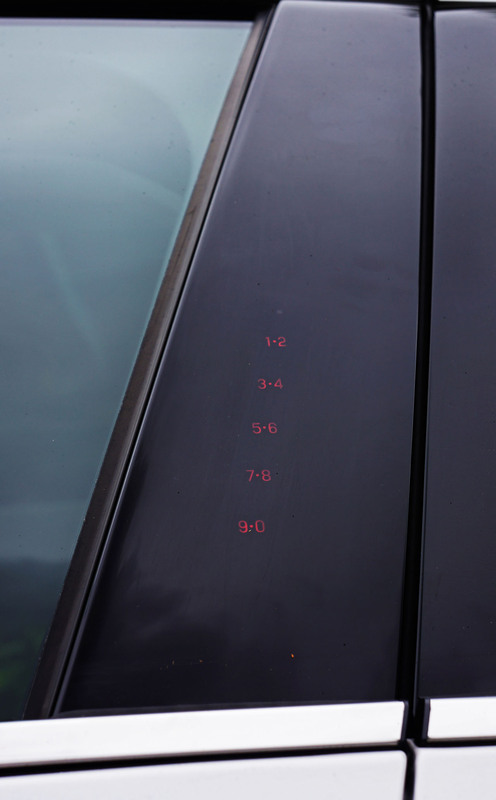 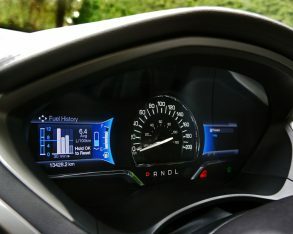 Likewise, for the excellent multi-function display directly ahead of the driver and primary gauges surrounding that, not to mention all of the other shared technologies incorporated into both cars. 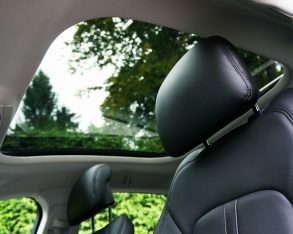 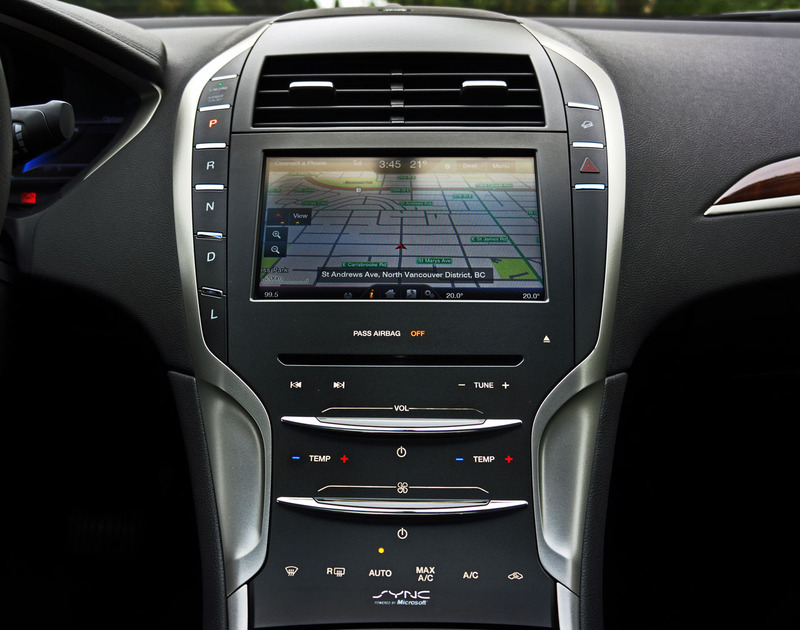 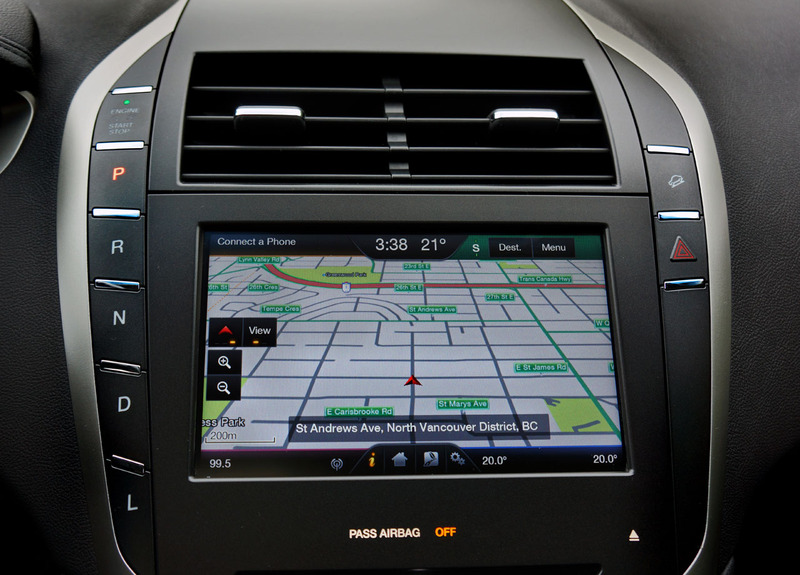 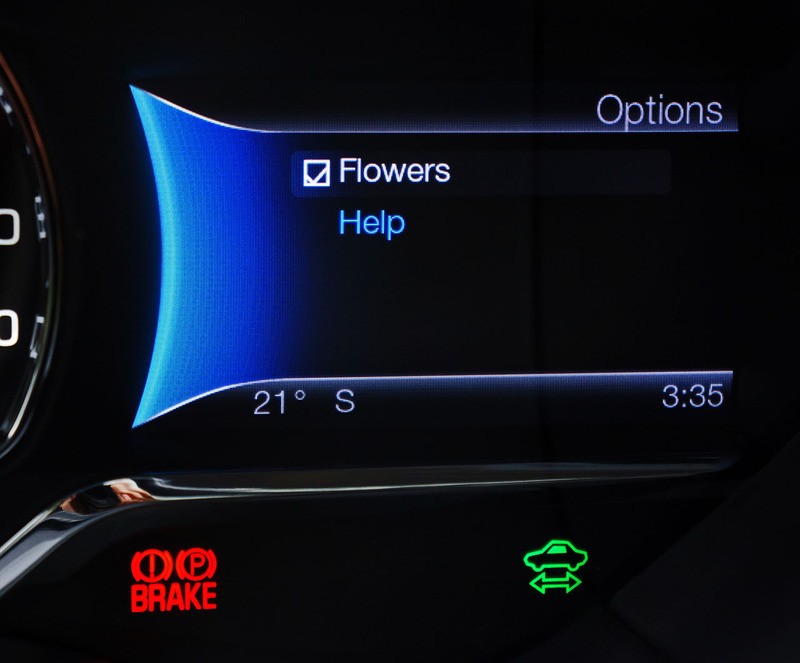 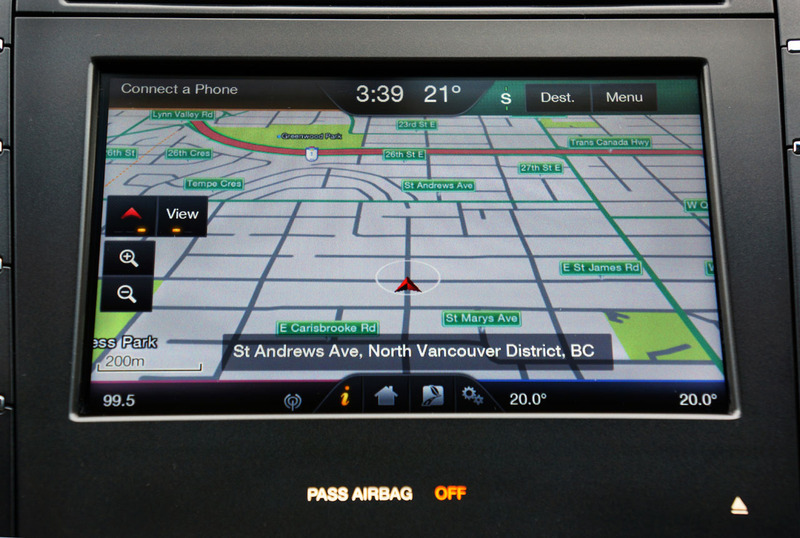 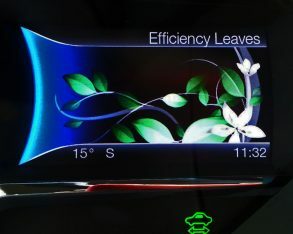 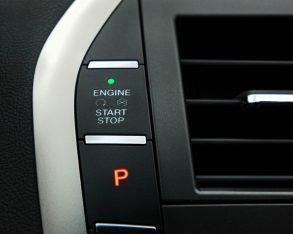 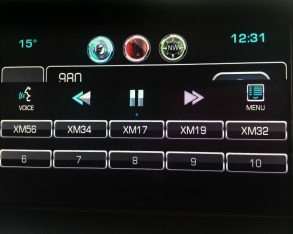 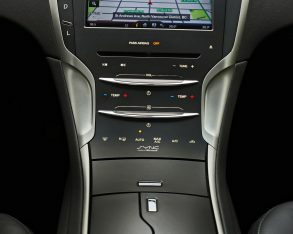 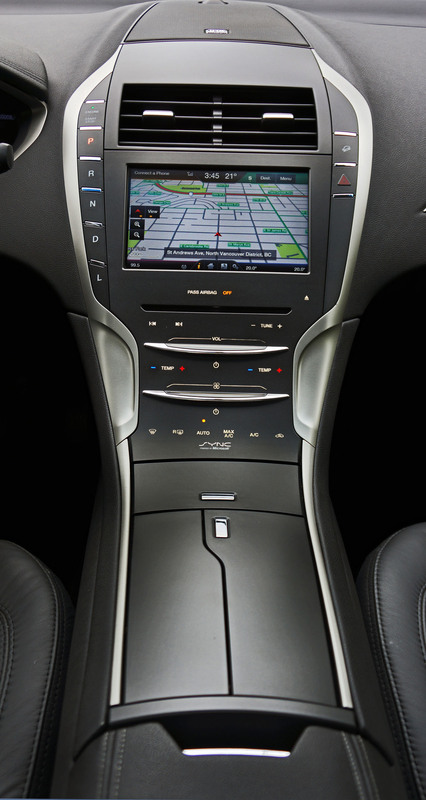 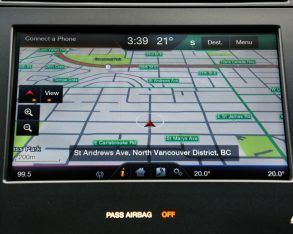 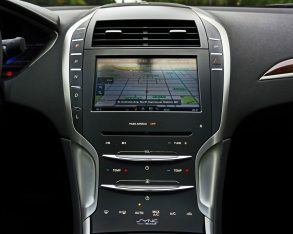 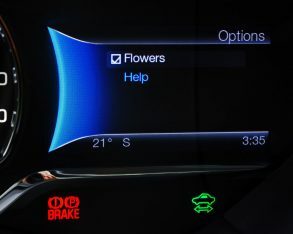 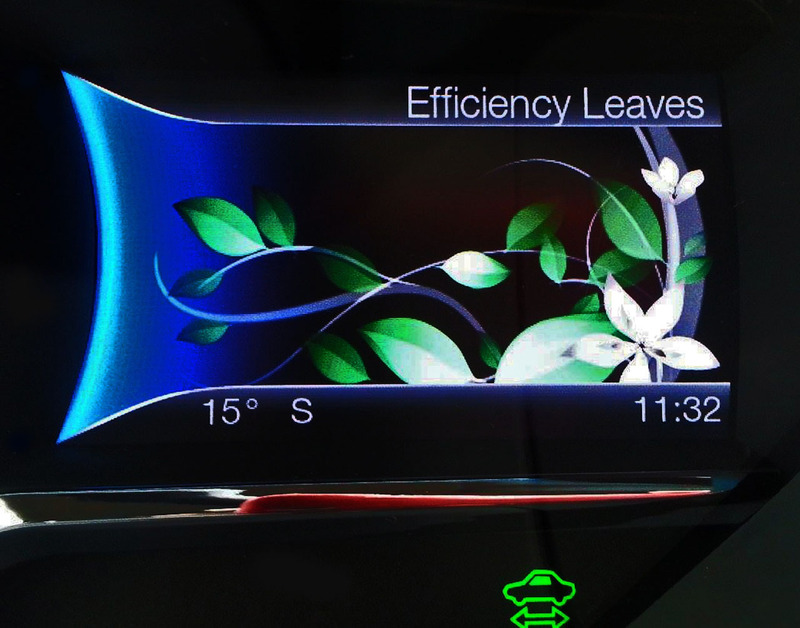 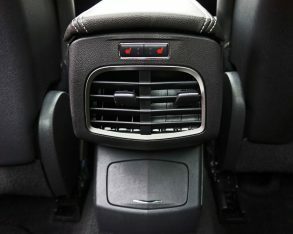 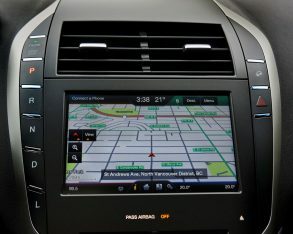 The infotainment system, for instance, uses a bright and clear eight-inch touchscreen for its full menu of capabilities. 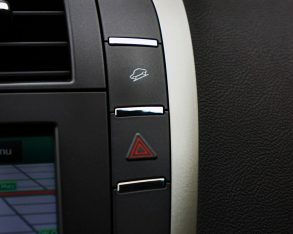 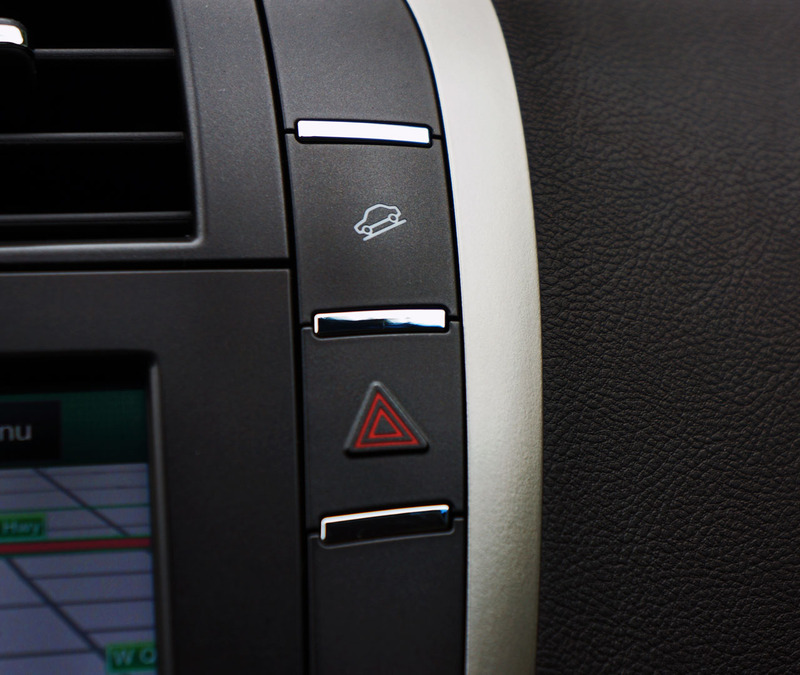 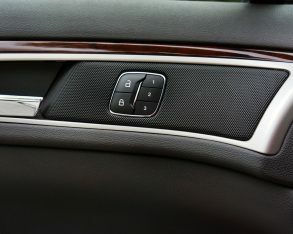 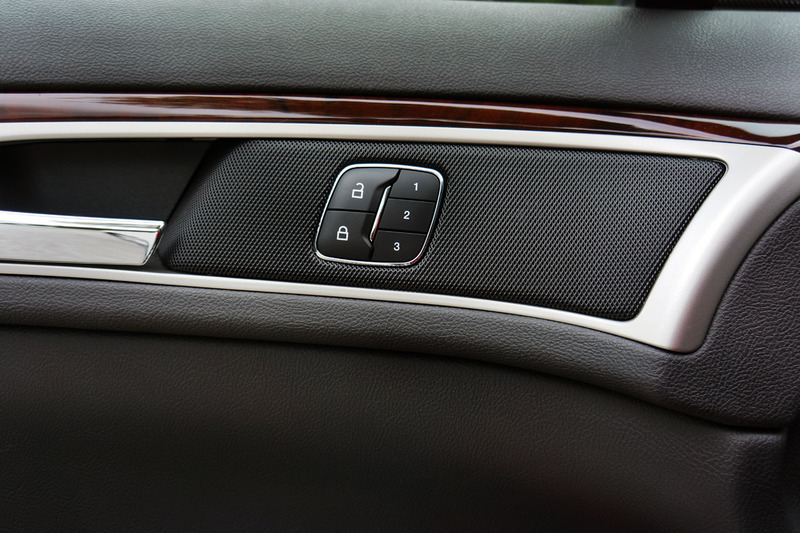 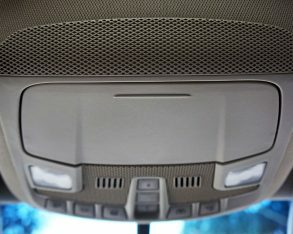 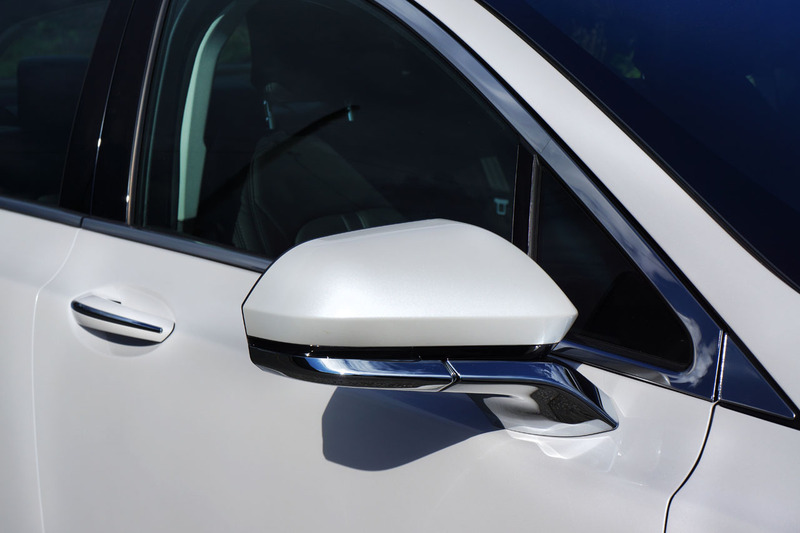 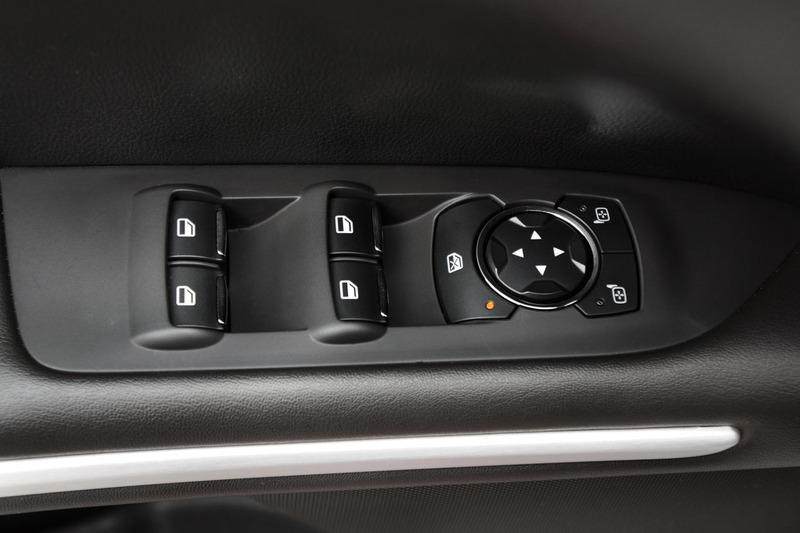 you it can shake (but not rattle) this four-pointed star adorned car’s doors when the touch-sensitive volume controller slides towards the right. 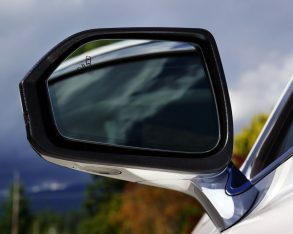 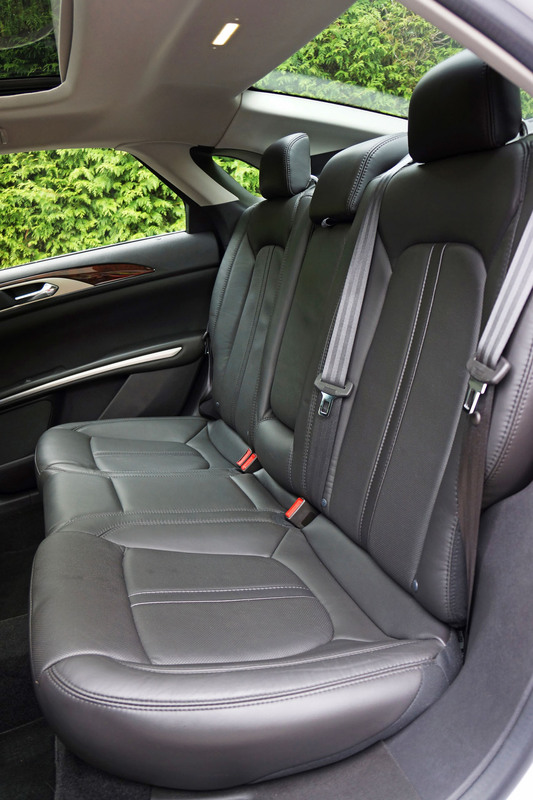 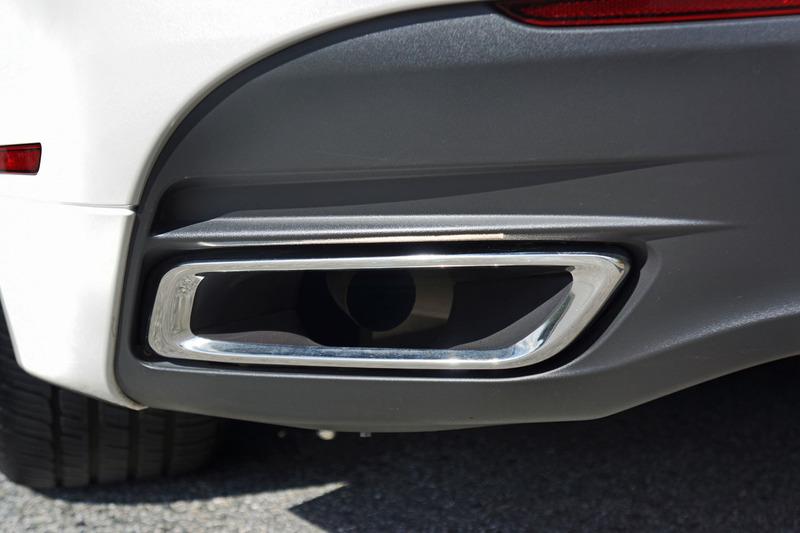 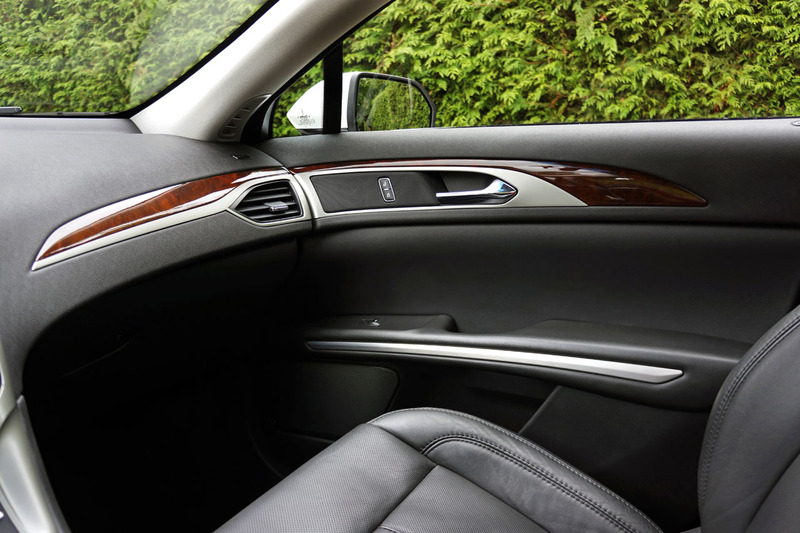 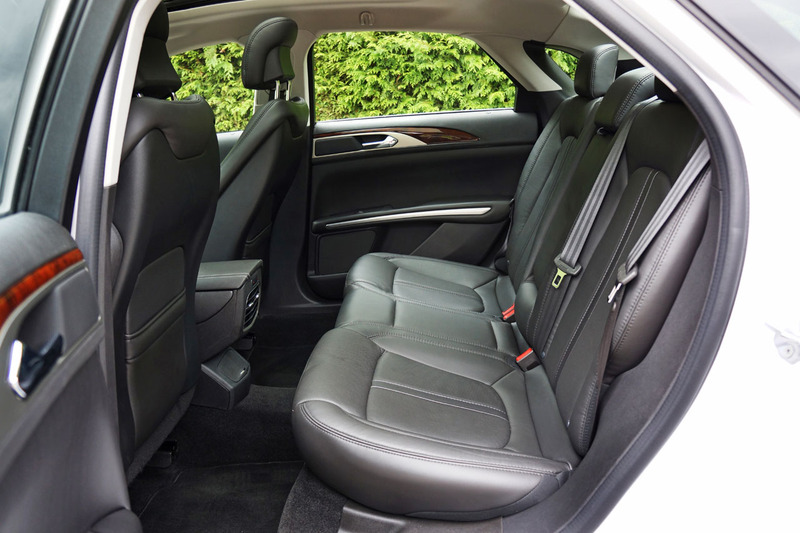 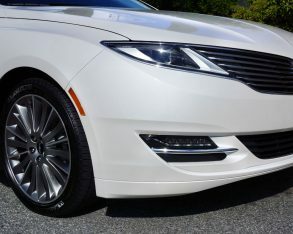 When the music’s not thumping the MKZ Hybrid is an extremely quiet car, much thanks to a tight overall structure that aids in the feeling of overall refinement. 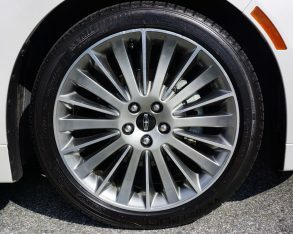 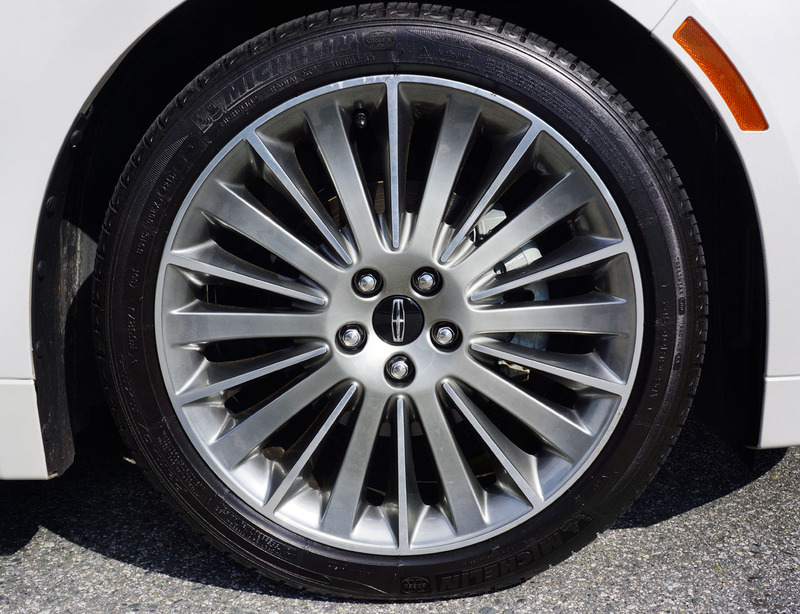 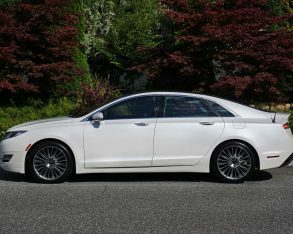 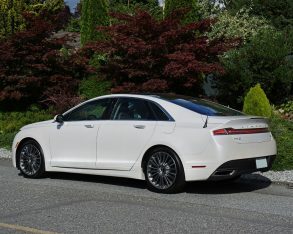 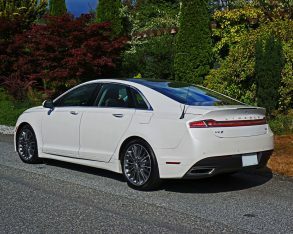 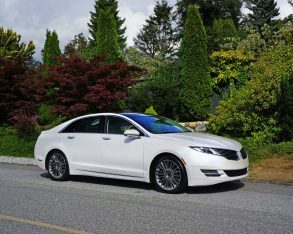 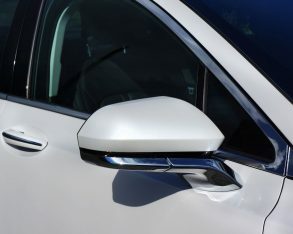 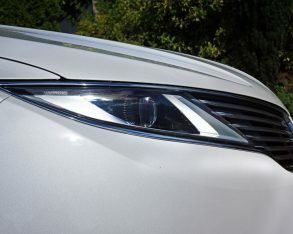 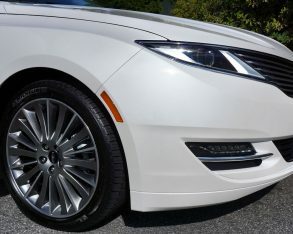 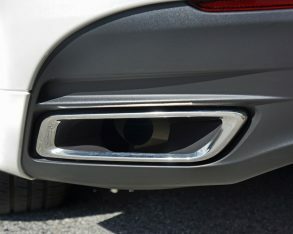 While capable in the curves, partial credit going to a big meaty set of Michelin Green X 245/40R19s on 19-inch polished alloys, the MKZ Hybrid feels best around town and on the highway, where it’s silky smooth operation makes driver and passengers feel comfortable and coddled despite ample roominess in all directions. 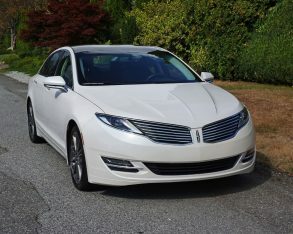 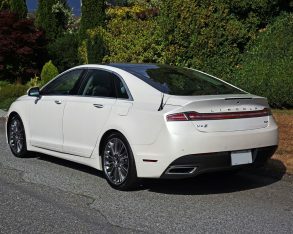 the previous MKZ I tested, the Hybrid doesn’t incorporate all-wheel drive or a six-speed automatic with paddle shifters, but instead drives the front wheels via the electronic continuously variable transmission (e-CVT) I commented on earlier. 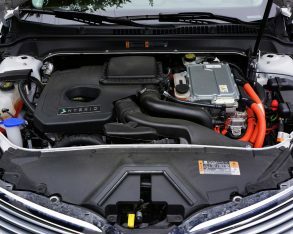 That more conventional model also employed an optional 3.7-litre V6, good for 300 horsepower and 277 lb-ft of torque, while my tester’s electrified drivetrain was comprised of a less energetic Atkinson-cycle 2.0-litre four-cylinder matched up to a permanent magnet AC synchronous electric motor powered by a 1.4kWh Lithium-ion (Li-ion) battery pack. 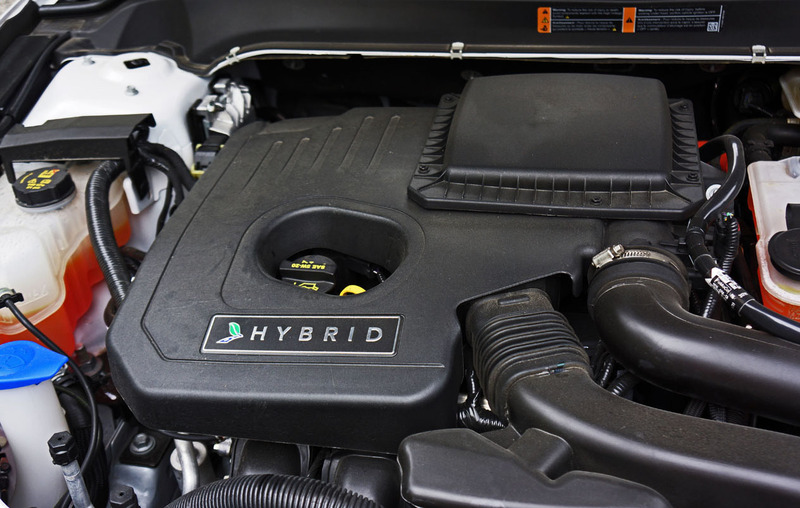 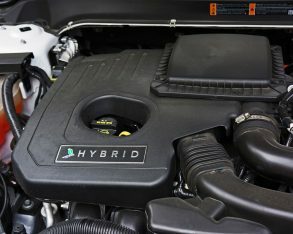 This is not a powertrain designed for performance first, being that combined output hums along at 188 horsepower, but torque feels strong off the line and it certainly holds its own on the highway. 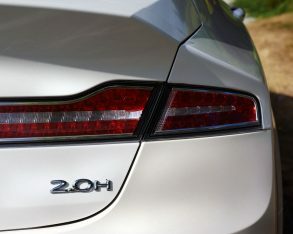 Where the MKZ Hybrid shines is at the pump, of course. 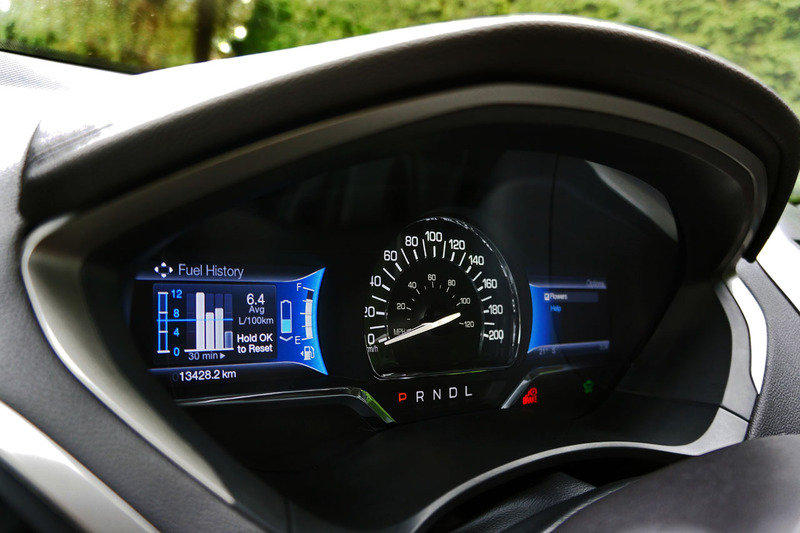 fuel economy numbers are actually quite shocking. 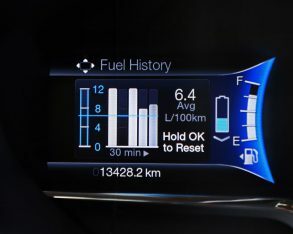 The 2014 estimates are 5.1 L/100km in the city, 5.3 hwy and 5.2 combined, and despite being tallied up using the now outdated two-cycle testing method that has since been replaced by a five-cycle process, they’re fairly accurate. 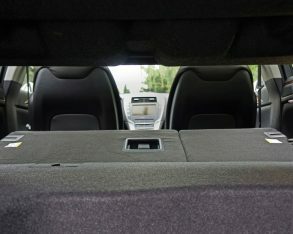 My 6.2 L/100km combined average, experienced via equal parts city and highway plus ample hills and dales, was close to the new 2015 average of 5.7 L/100km city, 6.0 hwy and 5.8 combined. 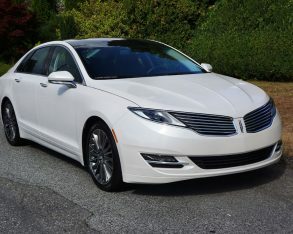 These figures also fare quite well when put up against the MKZ Hybrid’s main competitor, the aforementioned Lexus ES 300h, which is rated at 5.9 L/100km city, 6.0 highway and 5.9 combined for the 2014 model year and 5.8 city, 6.1 highway and 5.9 combined for 2015.
pass-through behind the rear seat folding armrest for narrower items. 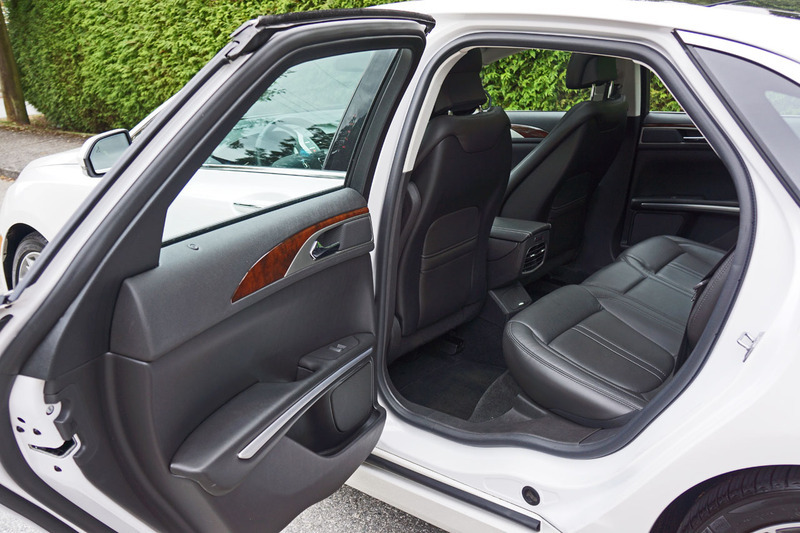 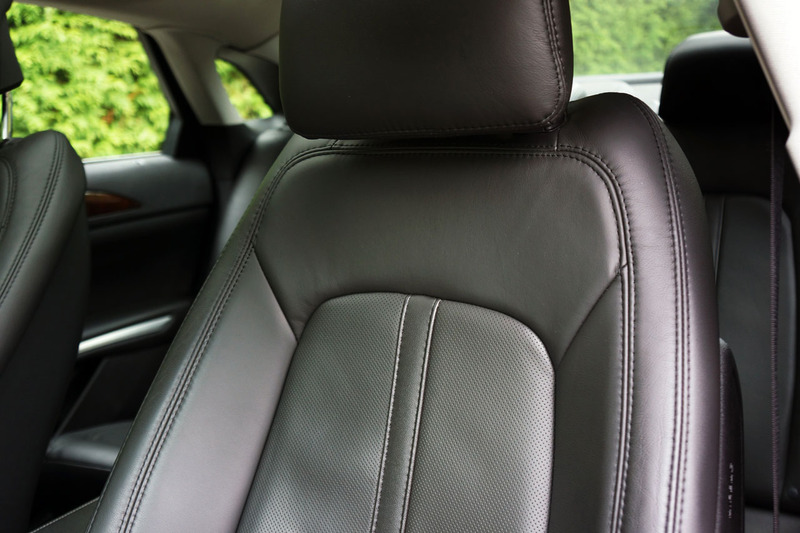 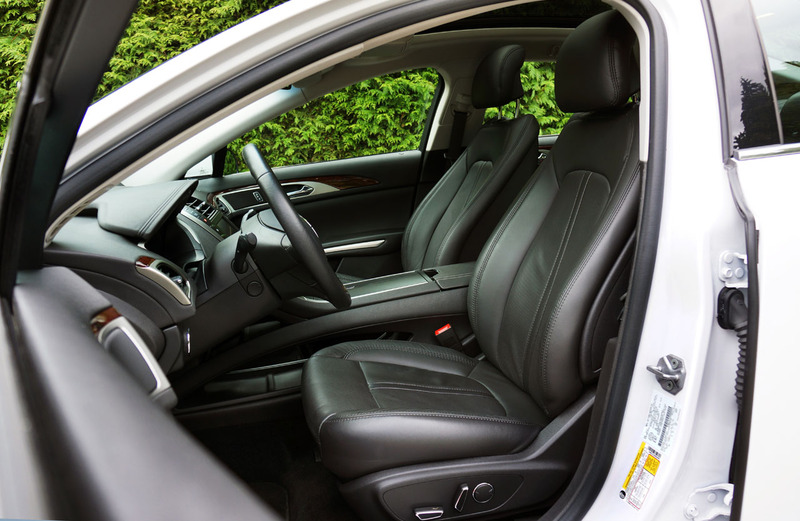 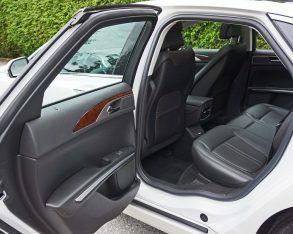 This allows four people seated and some skis in between the rear two, or even more practically speaking, the ability to pick up long items from the hardware store (like mouldings) on the way back from a family event. 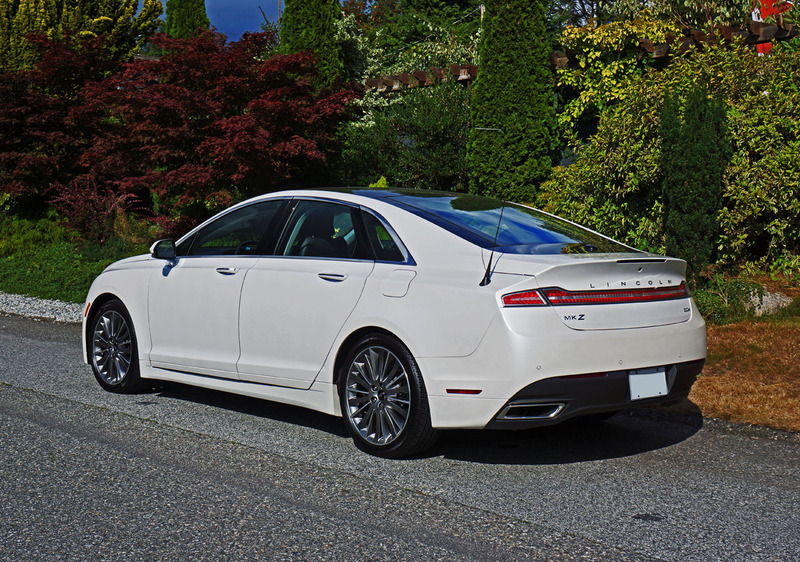 Soaking in the MKZ Hybrid, it’s hard to believe it was only a decade and a half ago that the first hybrids came to market. 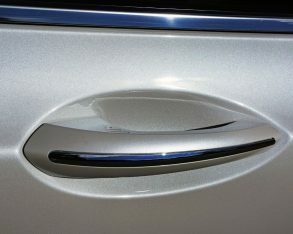 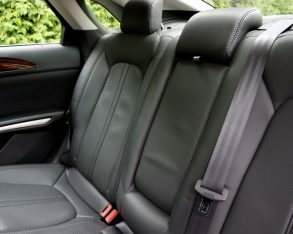 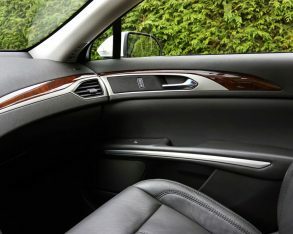 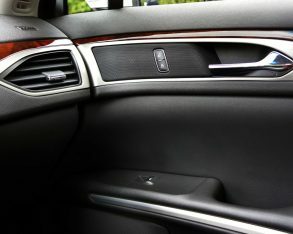 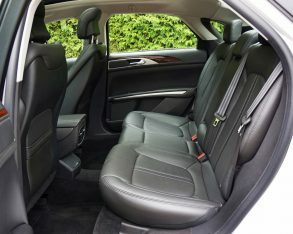 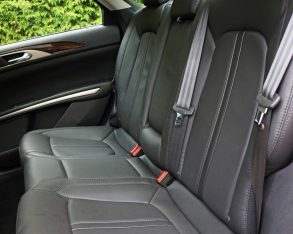 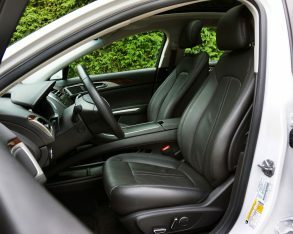 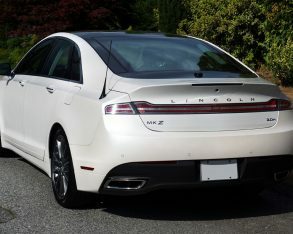 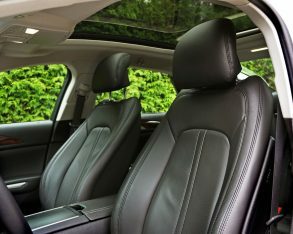 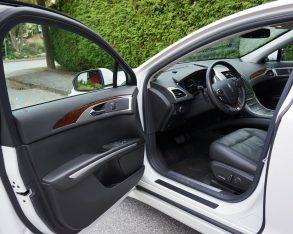 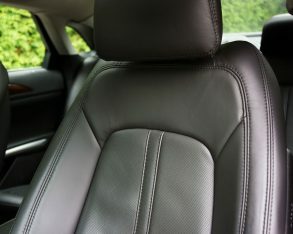 These were nicely outfitted (for the time) economy cars, nothing like what Lincoln pampers us with here with this fully featured luxury sedan, and while efficient, the first four-door hybrid didn’t offer fuel economy numbers that were much better than this big premium sedan’s impressive rating. 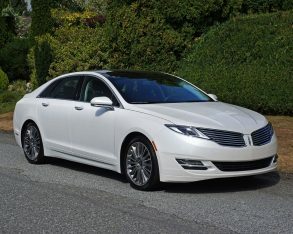 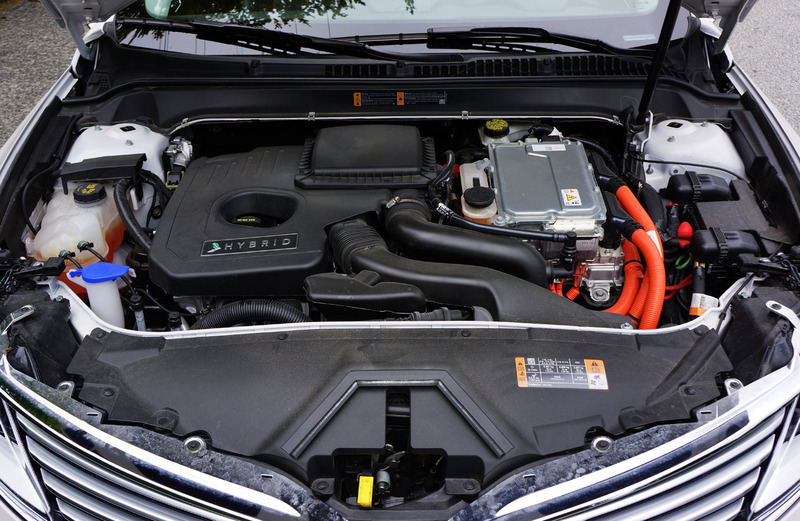 the conventionally powered MKZ or the MKZ Hybrid. 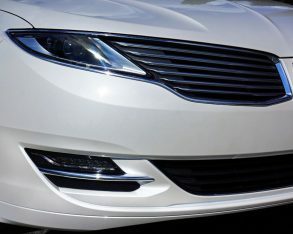 If more people did their homework there would be more MKZs on the road. 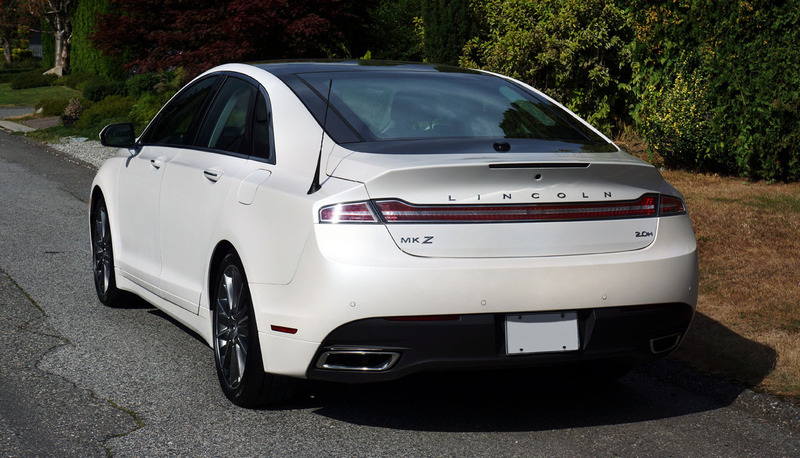 Styling will be the deciding factor for many, the Lincoln anteing up with an avant-garde design that immediately sets itself apart from the midsize mainstream, and the Lexus offering up a more conservative yet still attractive shape. 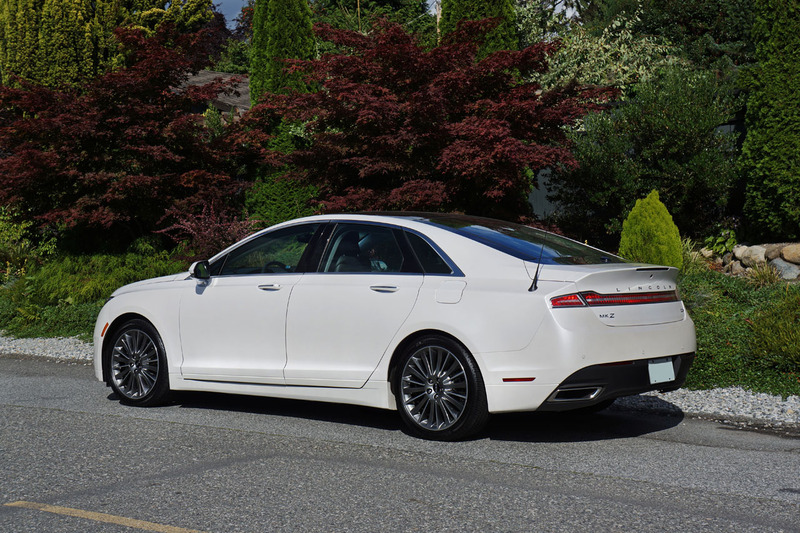 My leanings are towards the more interestingly penned MKZ Hybrid, which also benefits from an exclusivity factor, it’s slower sales meaning that you won’t see one coming around every corner. 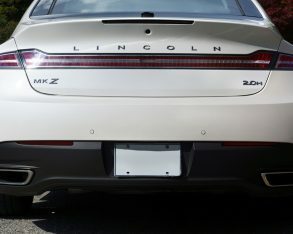 I’m not going to even try to tell you what to buy, but I do recommend you give the Lincoln MKZ Hybrid a good long look and an even longer test drive. 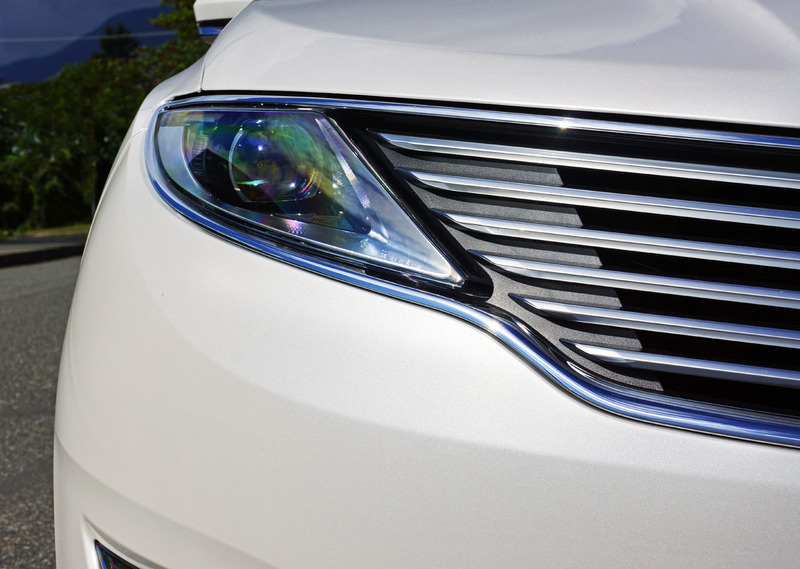 It’s totally worthy of your attention.